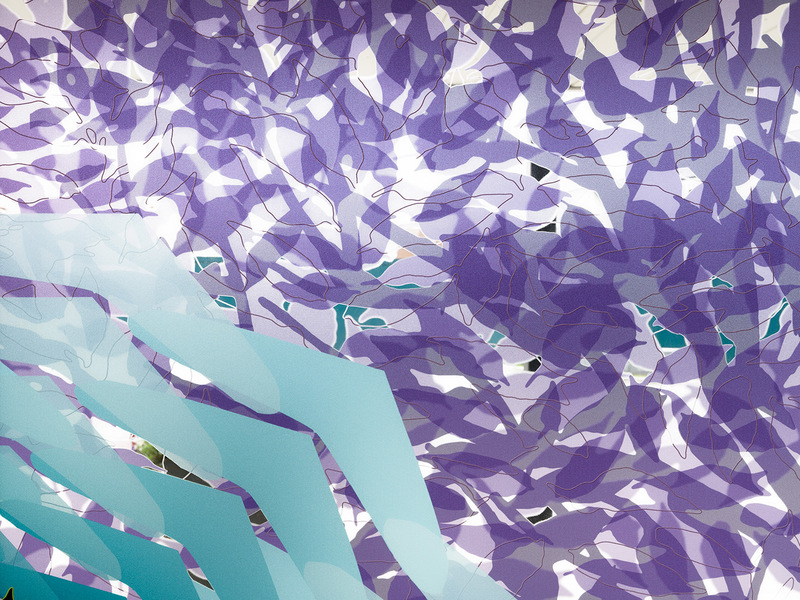 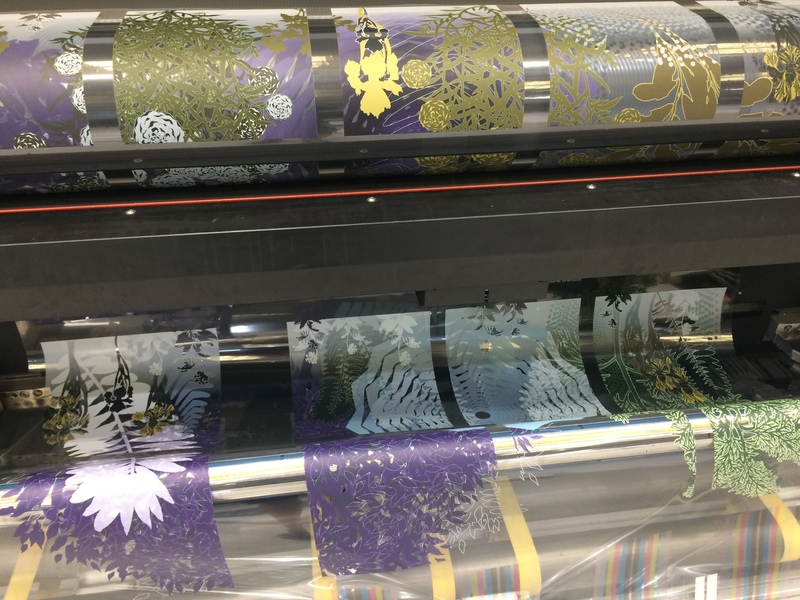 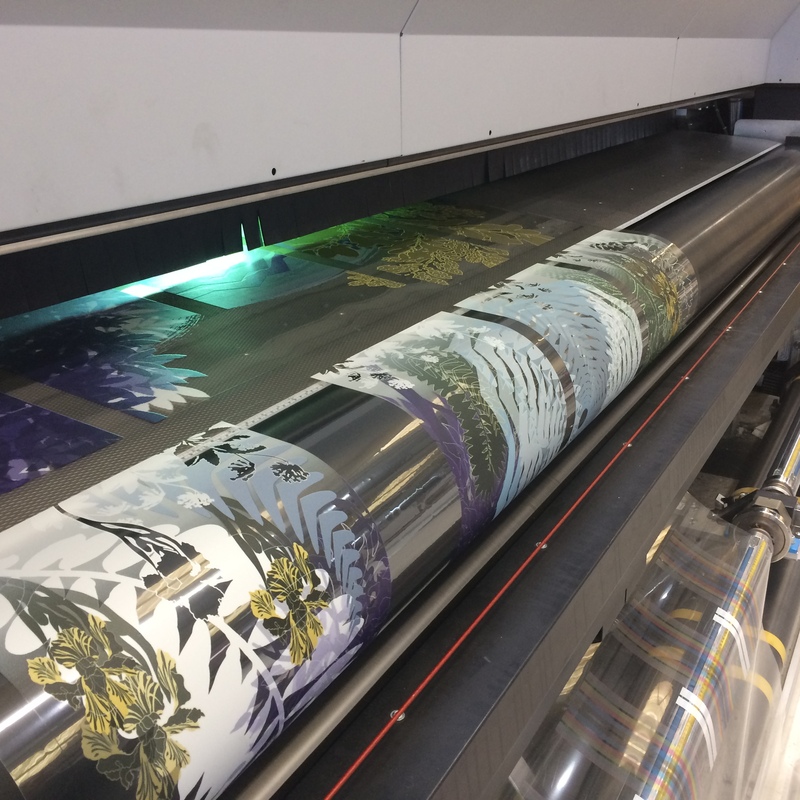 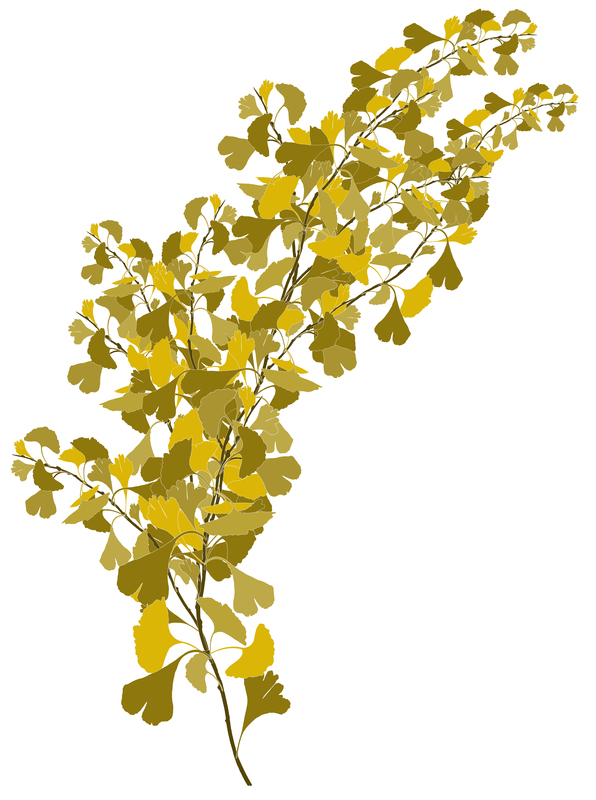 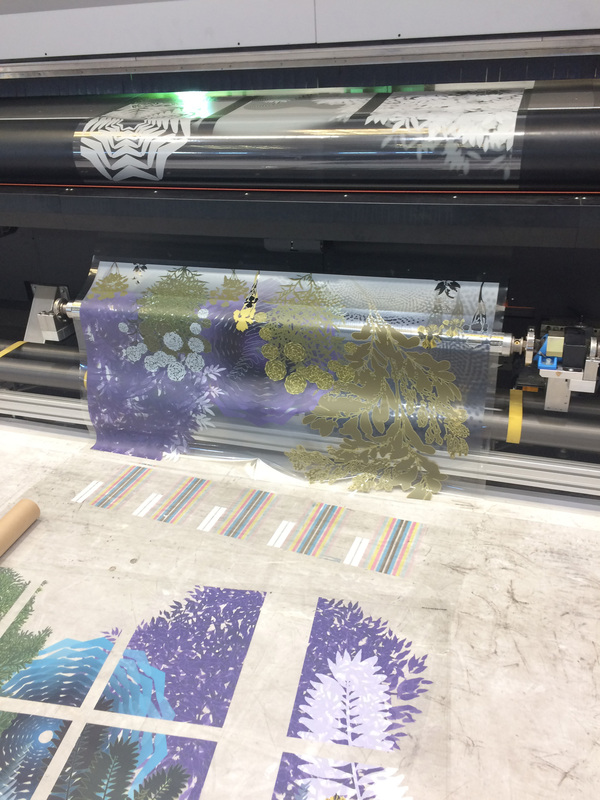 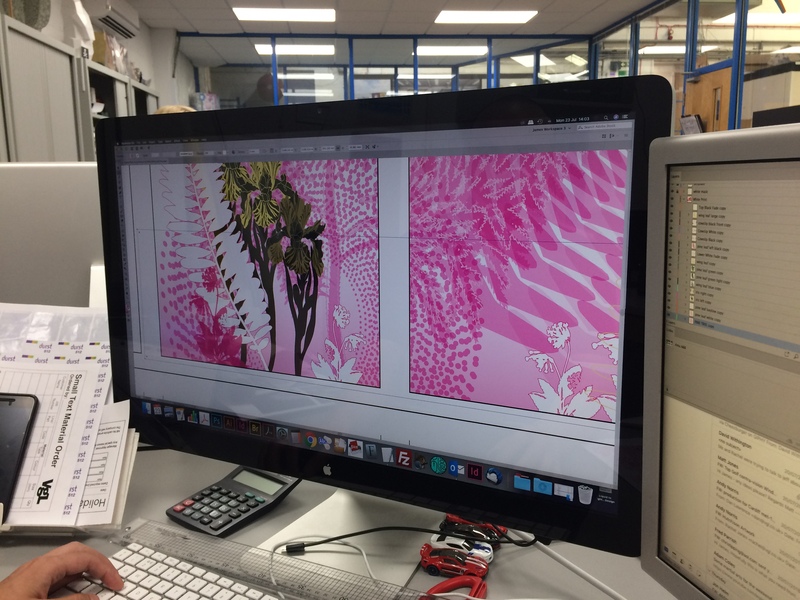 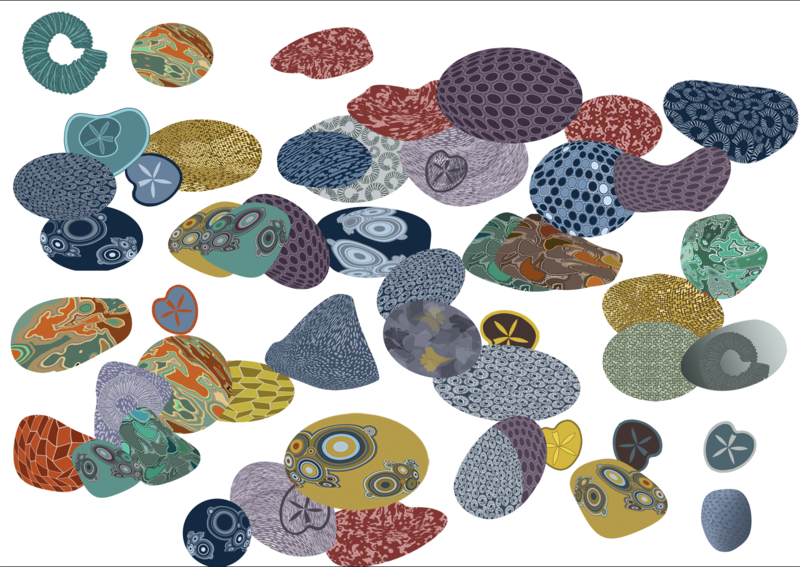 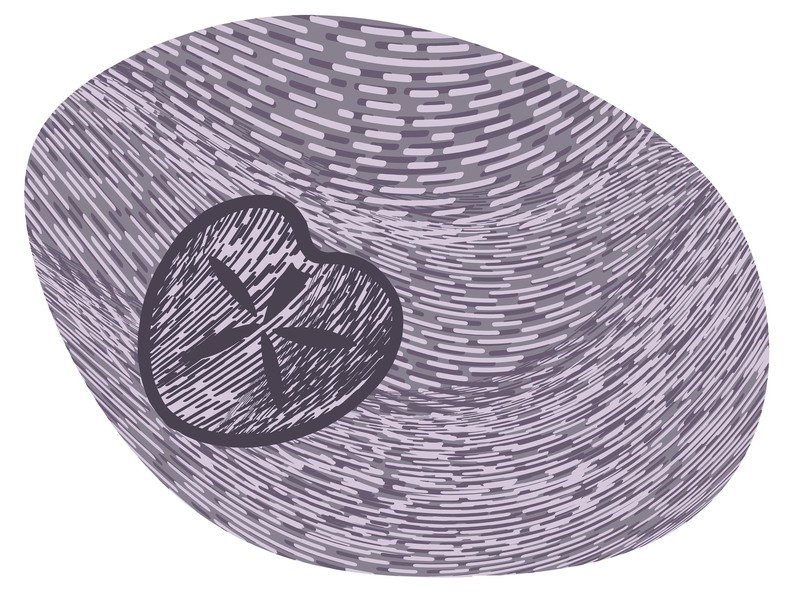 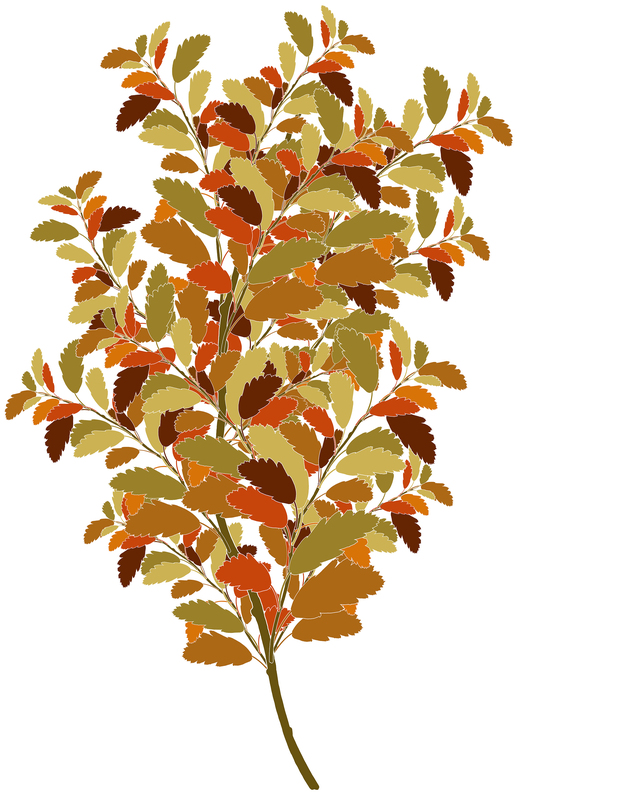 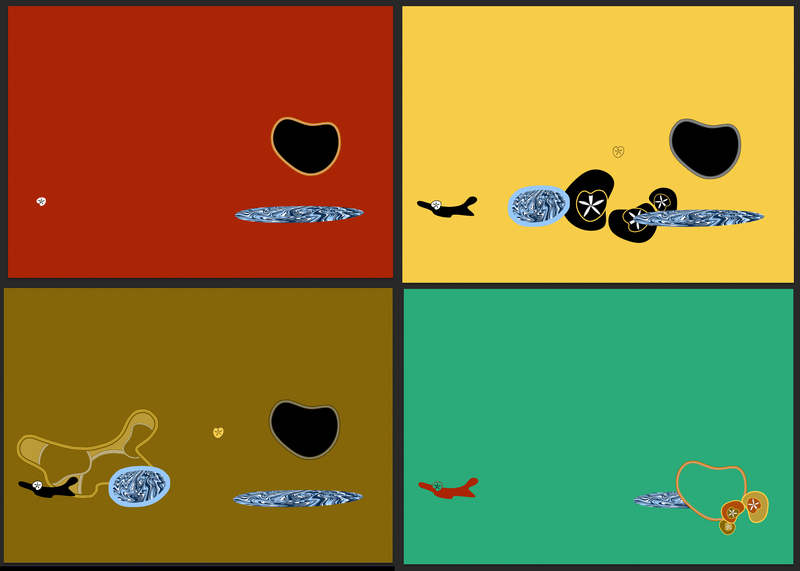 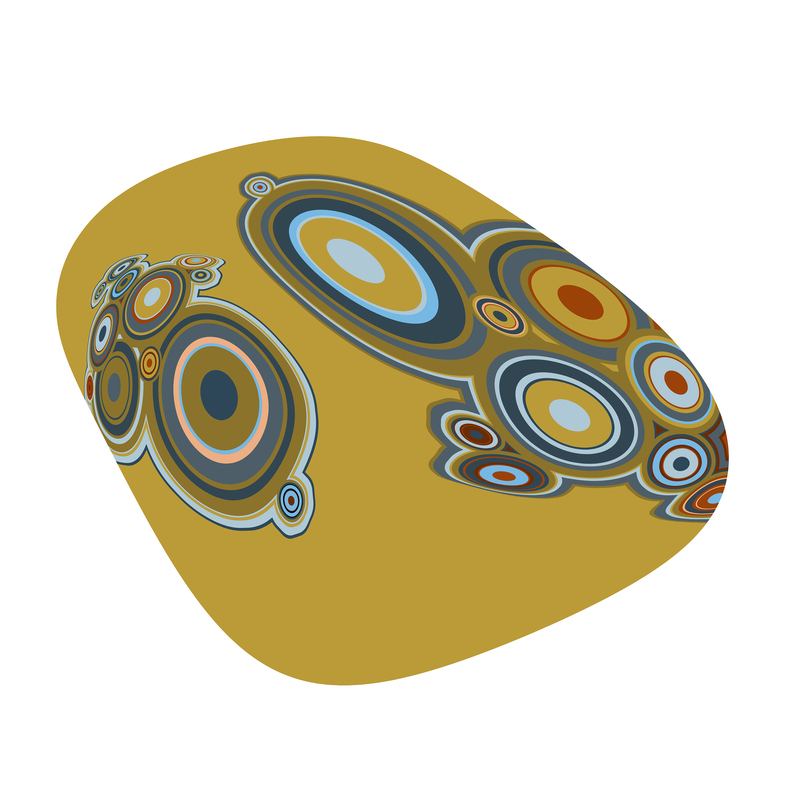 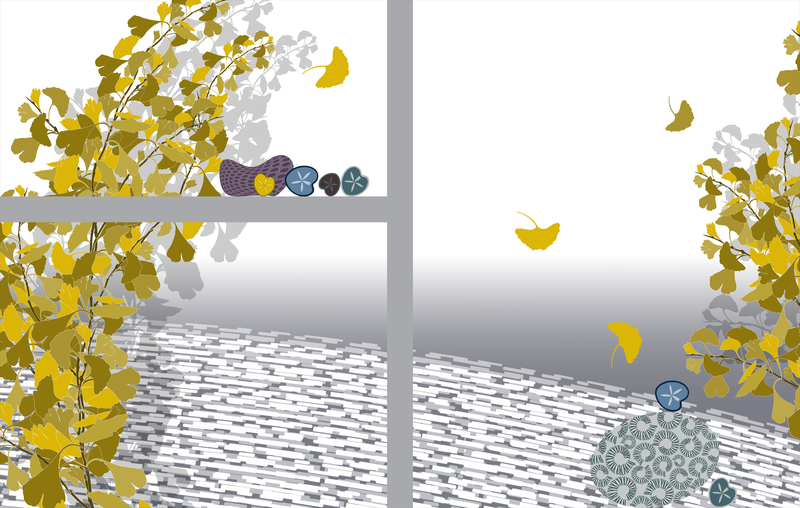 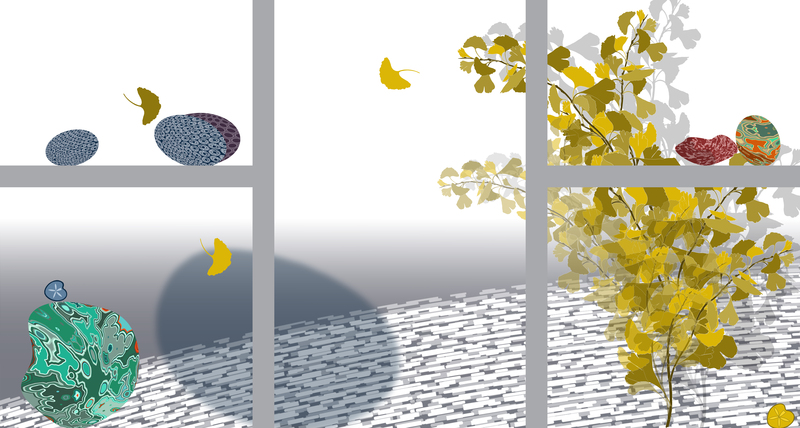 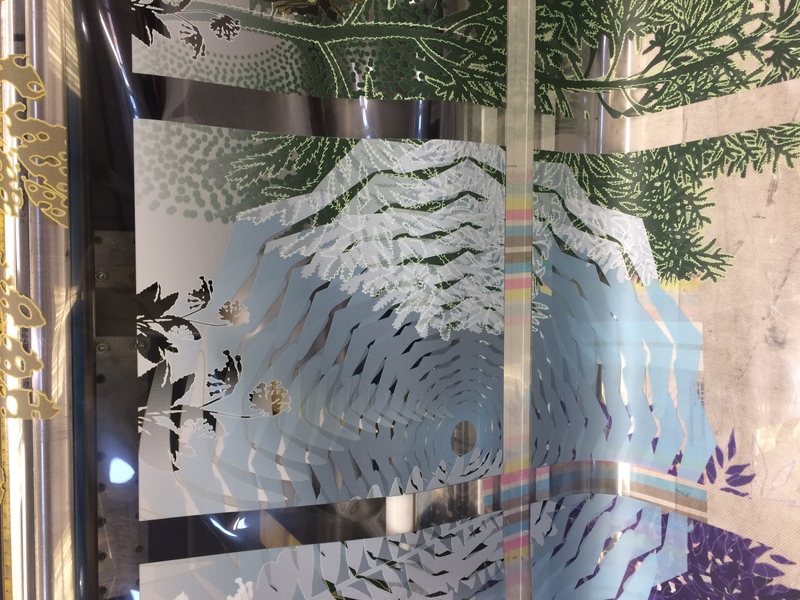 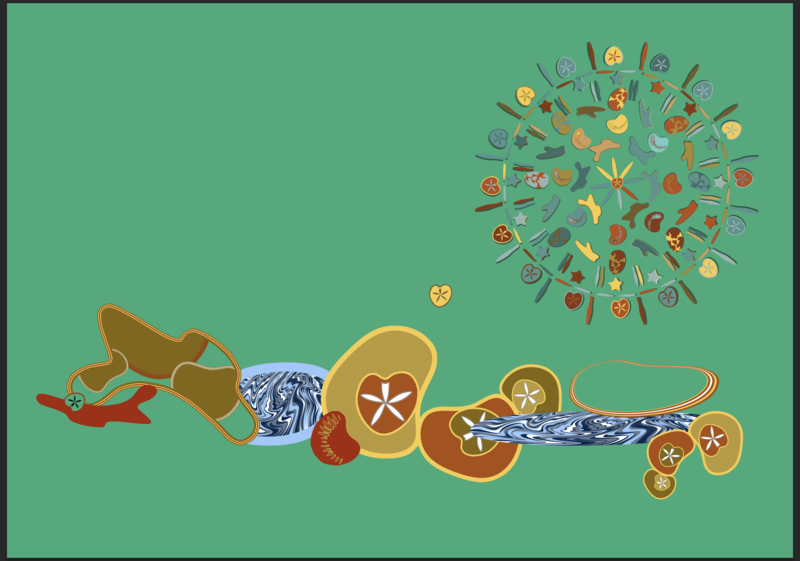 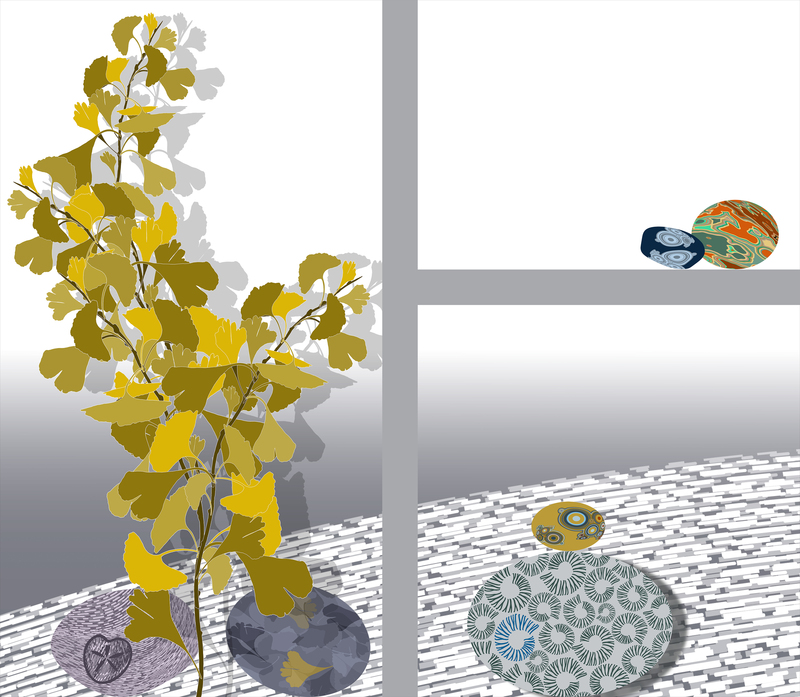 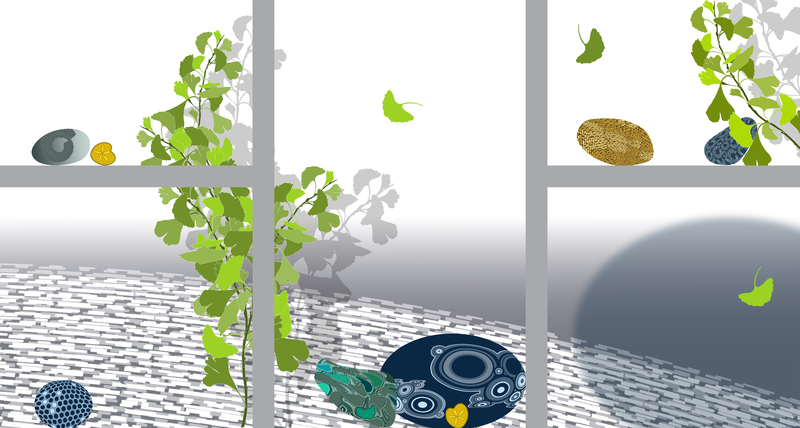 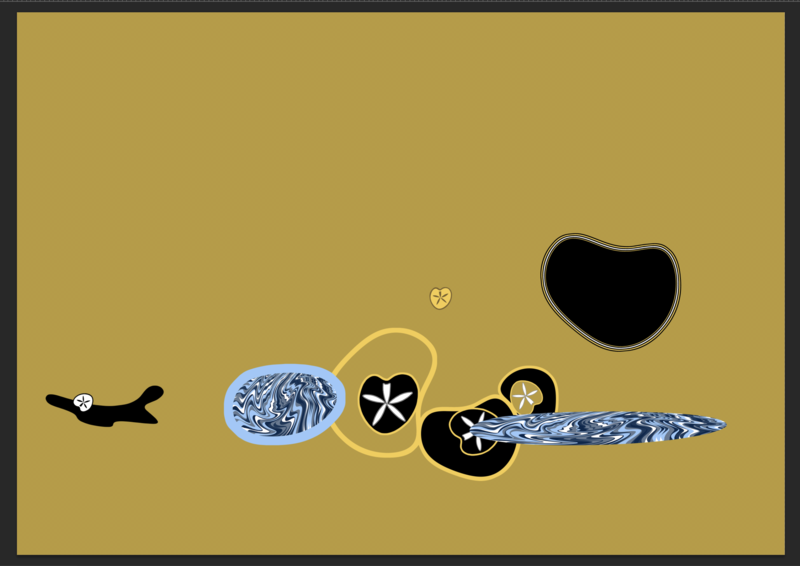 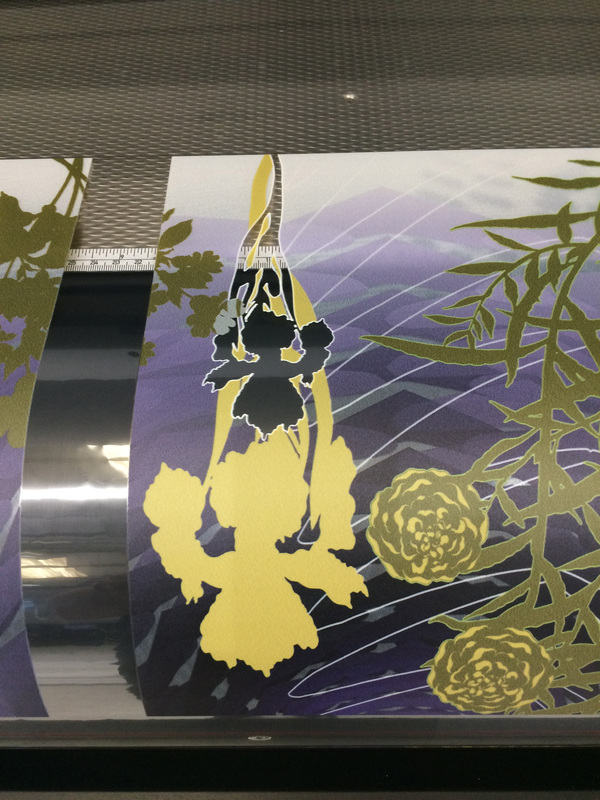 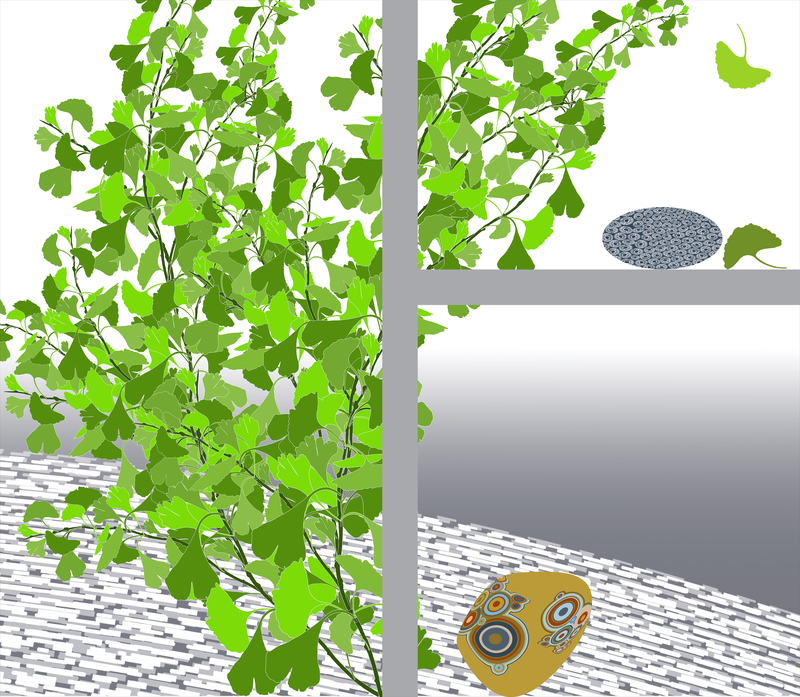 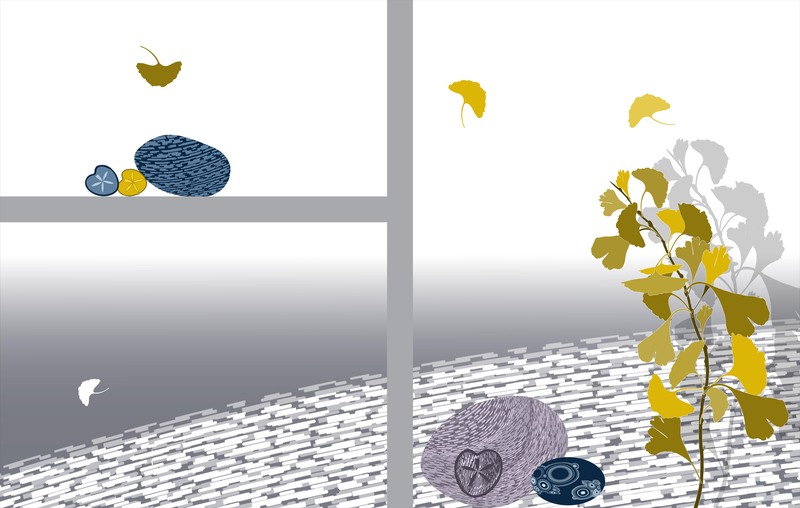 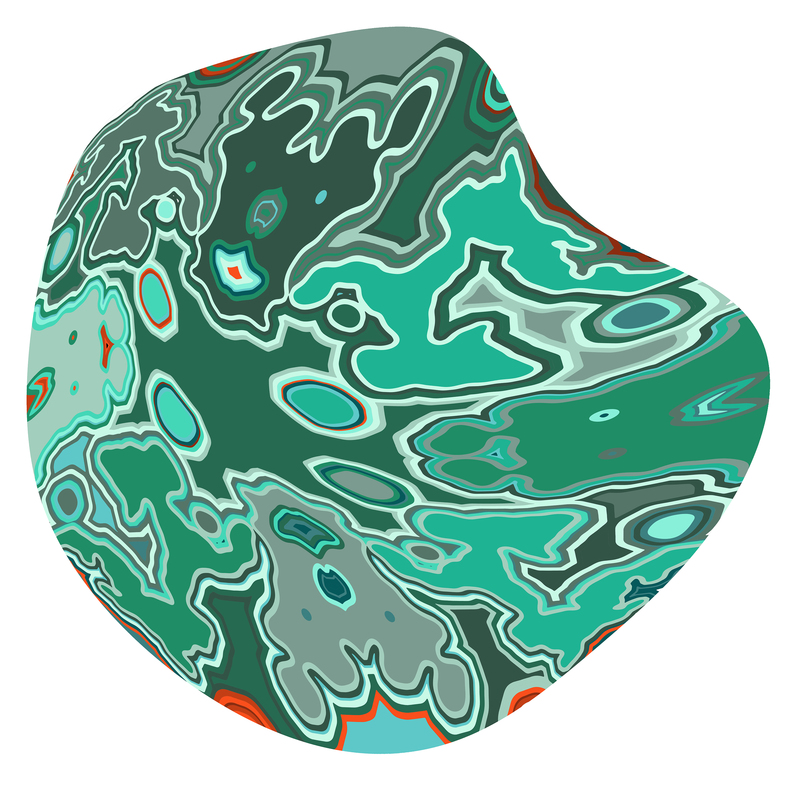 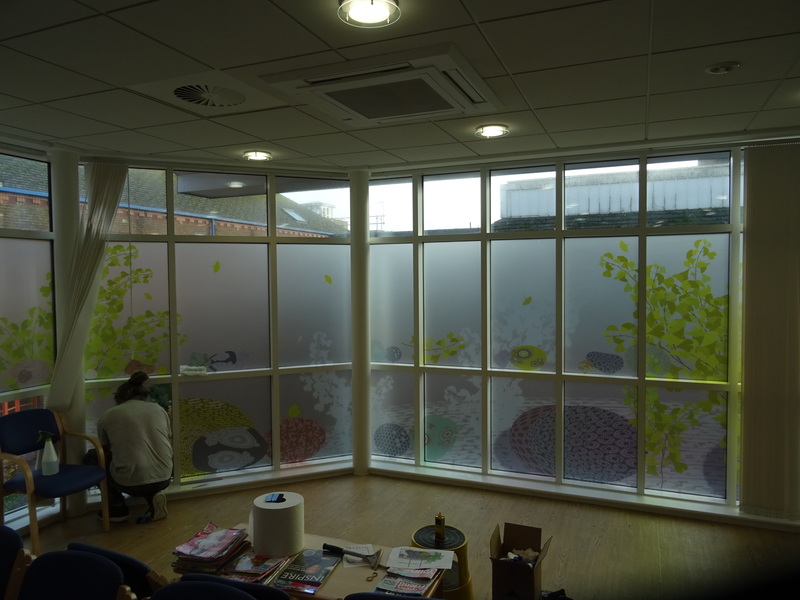 I have been commissioned to create artwork to be digitally printed onto optically clear vinyl for the external glazing of the new Cancer Unit at Dorset County Hospital. 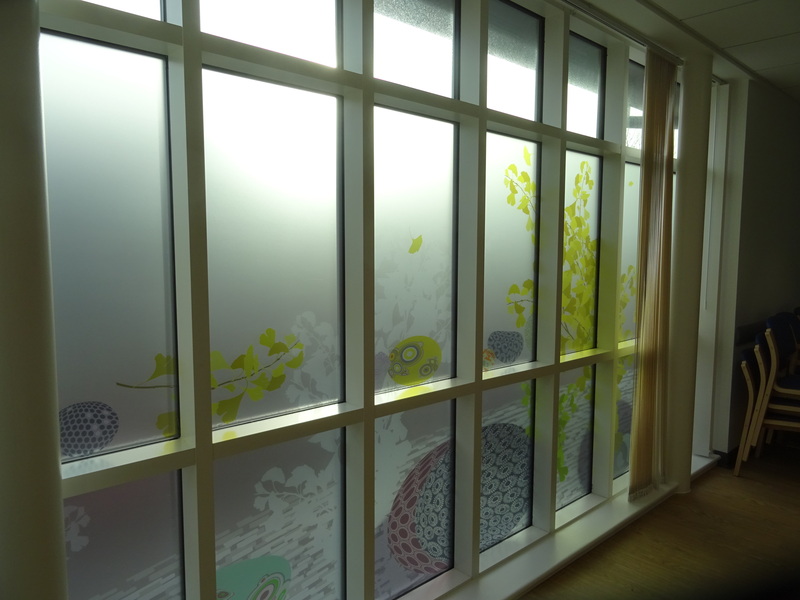 Dorset’s pioneering new cancer unit is under construction and is due to be delivered in 2018. 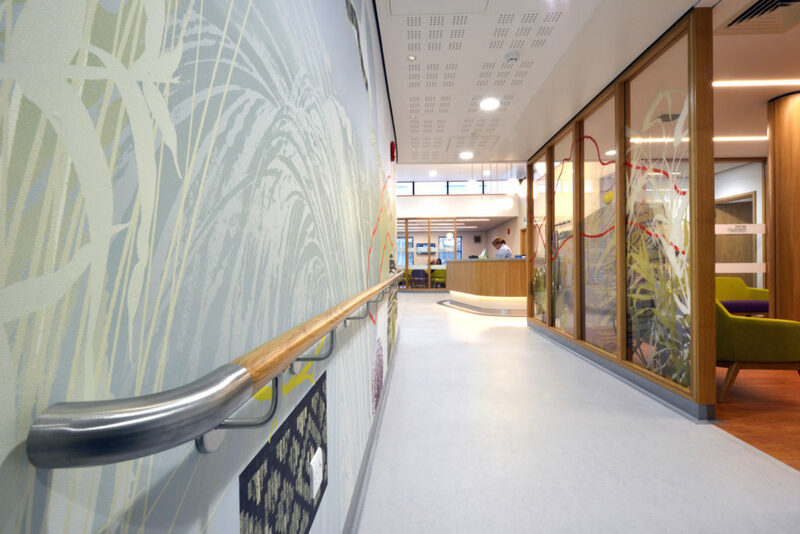 It is being built and operated jointly by Poole and Dorset Hospitals. 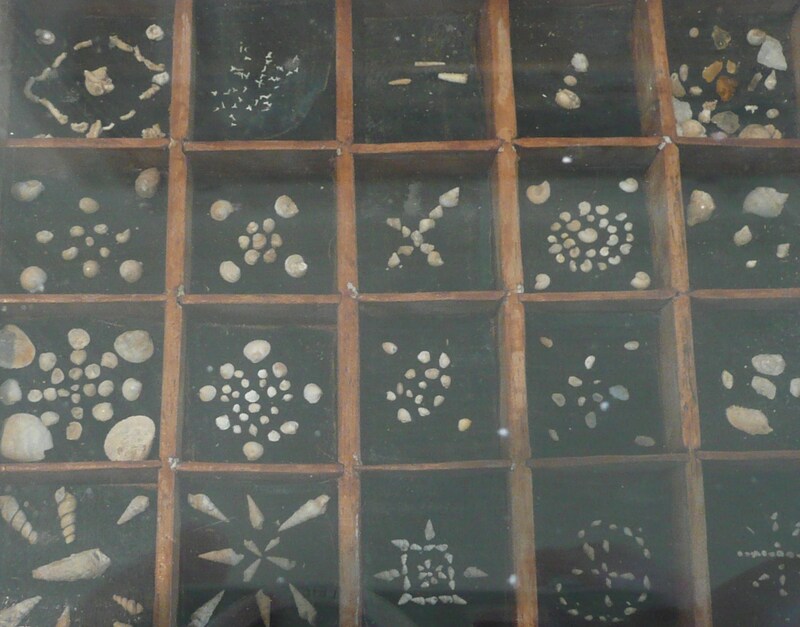 My approach has been framed by a research trip I made back in June 2008 to the Jurassic Coast World Heritage Site and to Dorchester Museums Archive Collections and the Natural History Museum in London. 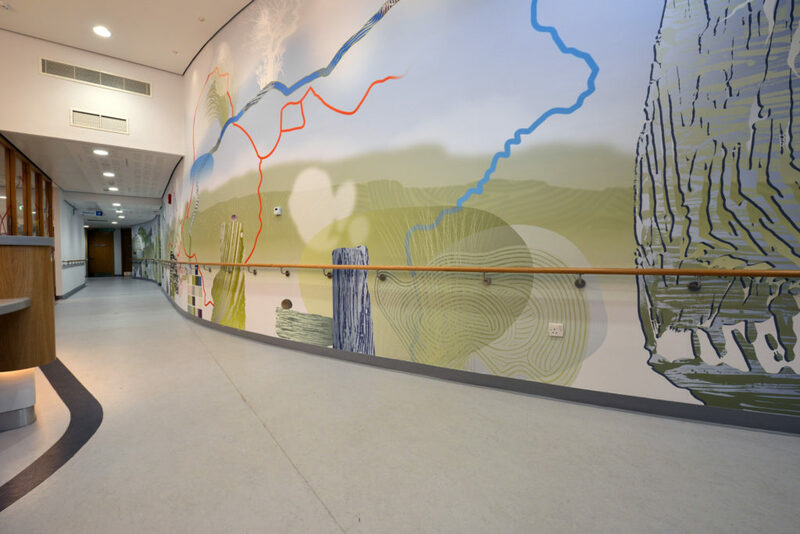 Ten years ago I created artwork for wayfinding and inlaid bespoke floor coverings for the corridors of the main hospital buildings and also for Maiden Castle House, which provides Psychiatric Services for the Trust. 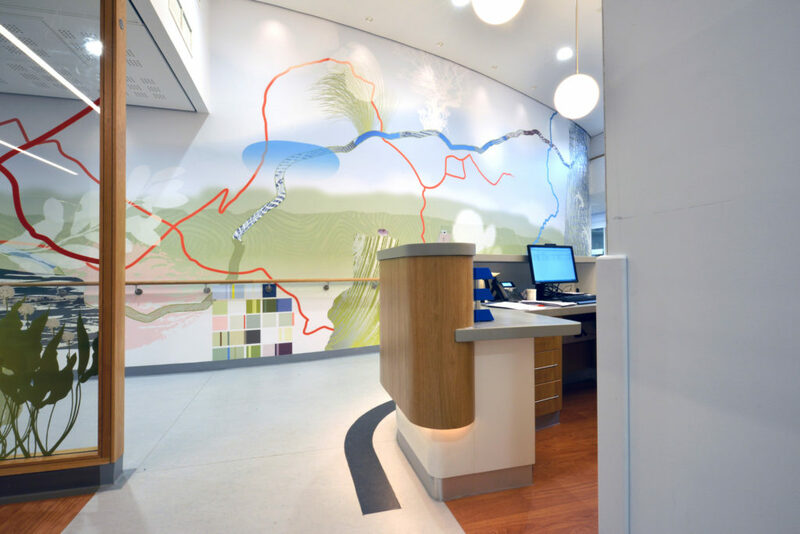 This original body of work, completed in 2010 was considered a resonant starting point for this new project in 2018 and has been instrumental in underpinning the artwork created for the Cancer Unit. 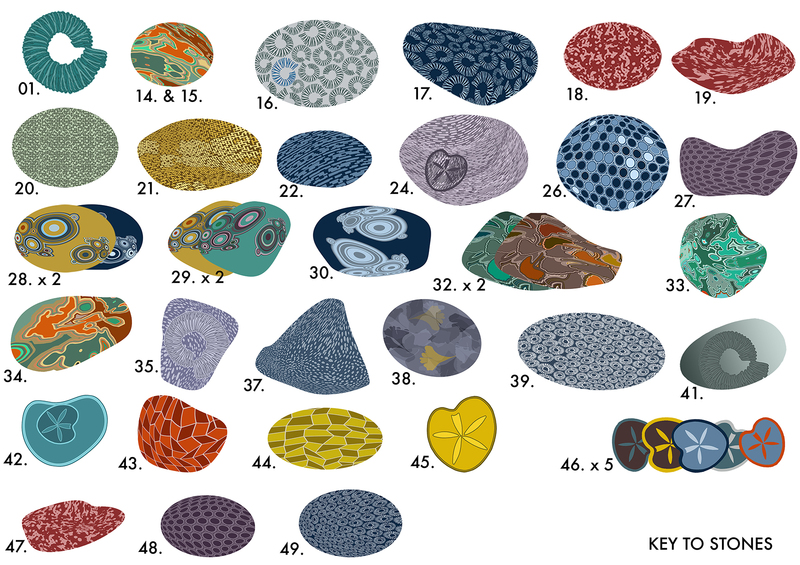 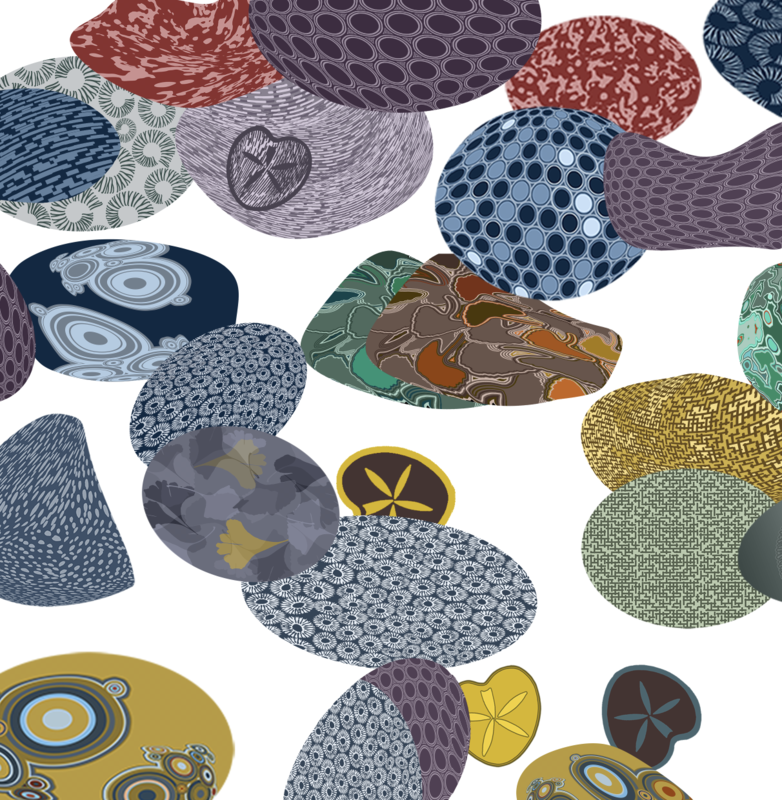 ‘The artist, Chris Tipping, researched and recorded geological structures, fossils and land forms along the Jurassic coast as the basis for his designs. 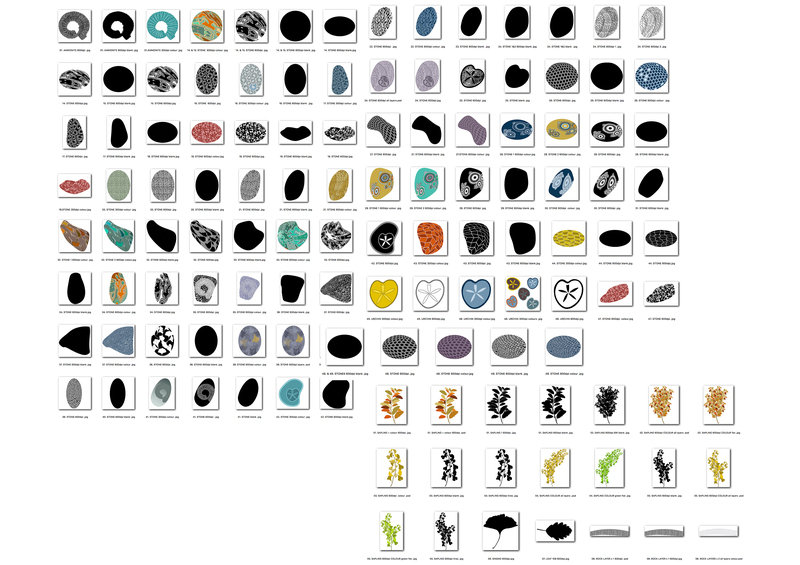 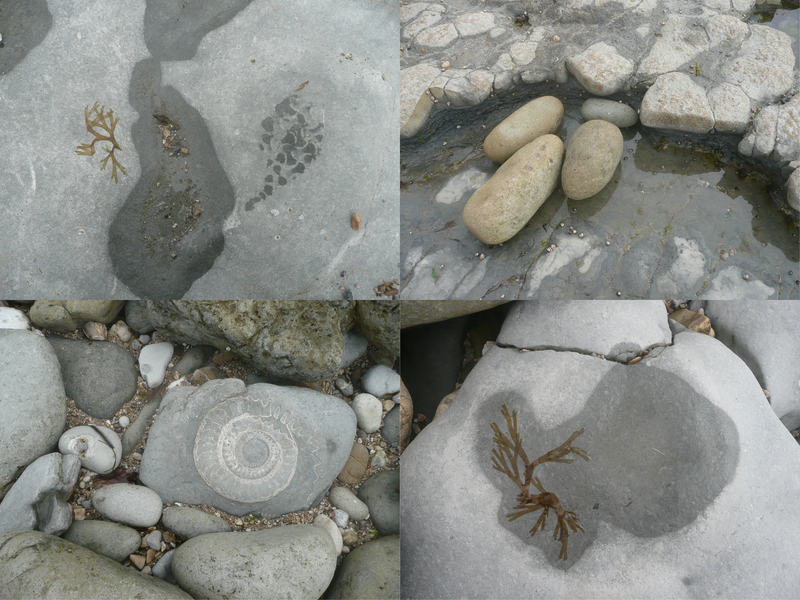 He made drawings on the coast and in Dorset County Museum’s collections and talked to geologists based at Southampton University to help inform his ideas. 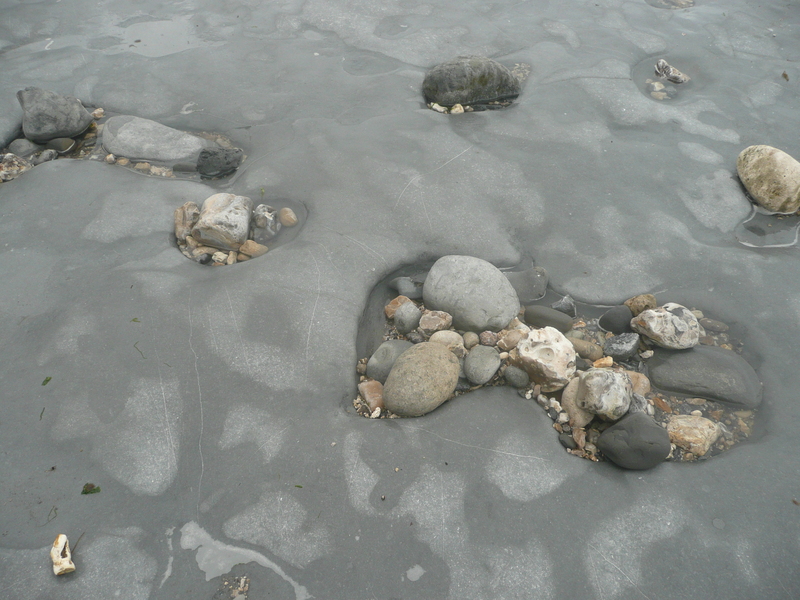 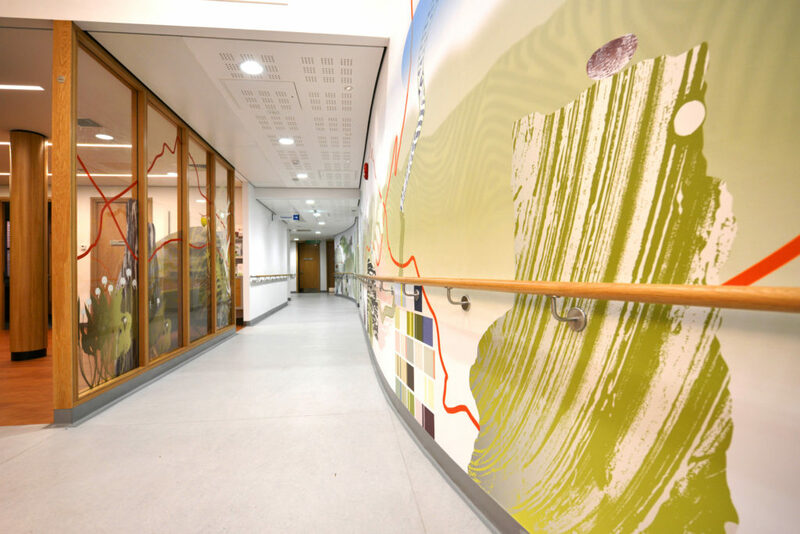 Chris was interested in the idea that the floors in the hospital could be interpreted as the layers or strata of the coast with fossil like patterns embedded in them and fragments and elements emerging where different layers meet. 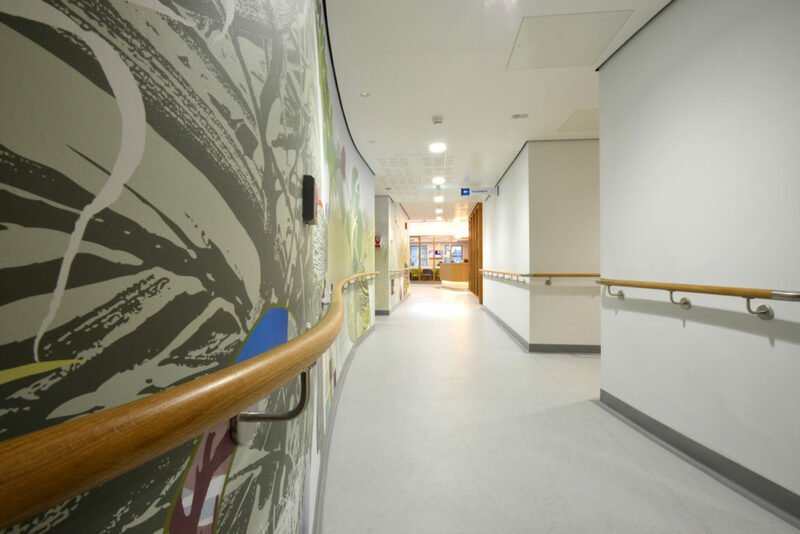 They are inlaid into the floor at key areas such as lift thresholds and at the top of staircases to help with wayfinding while smaller elements break up long expanses of corridor. 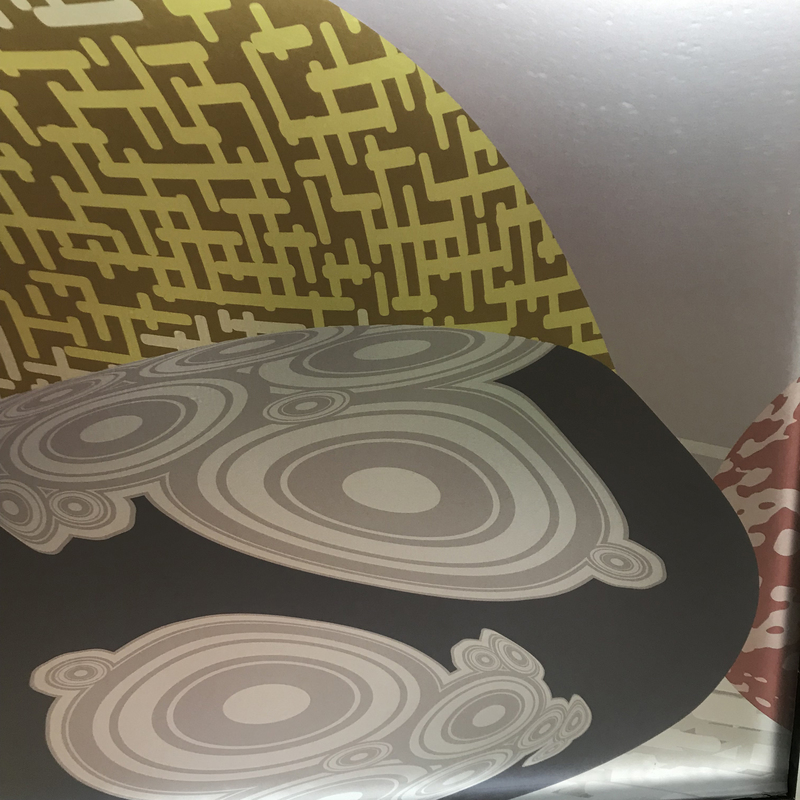 It was Chris’s idea to curve the edges of the flooring and to reveal sections of designs rather as you might see a fragment in the cliff. 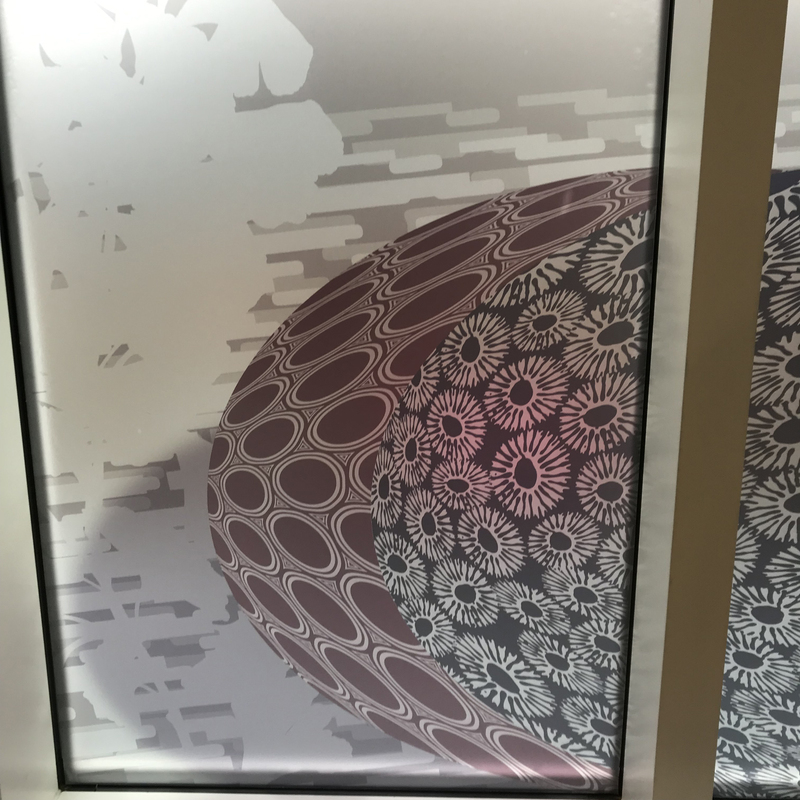 The technology used is sophisticated with laser cutting creating elements which fit together with no need for sealant in-between. 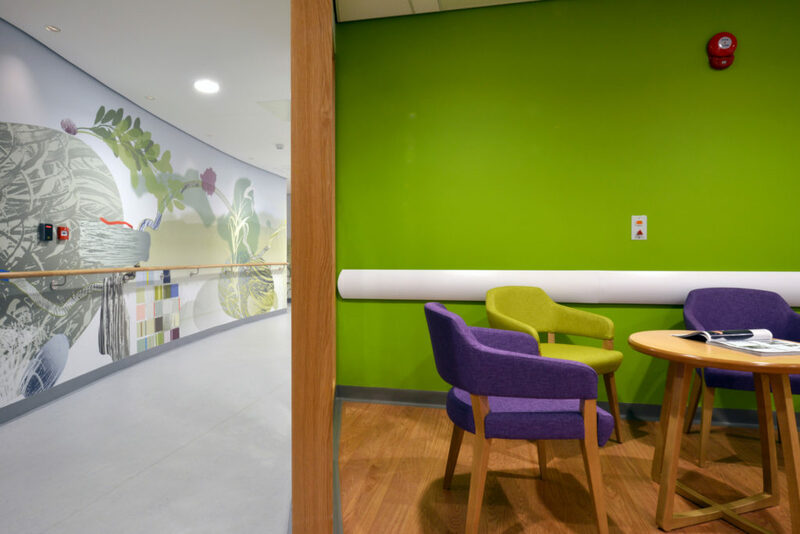 His designs enliven what would otherwise be vast expanses of plain flooring and contribute to making the hospital environment more stimulating and appealing for patients – a healing environment’. 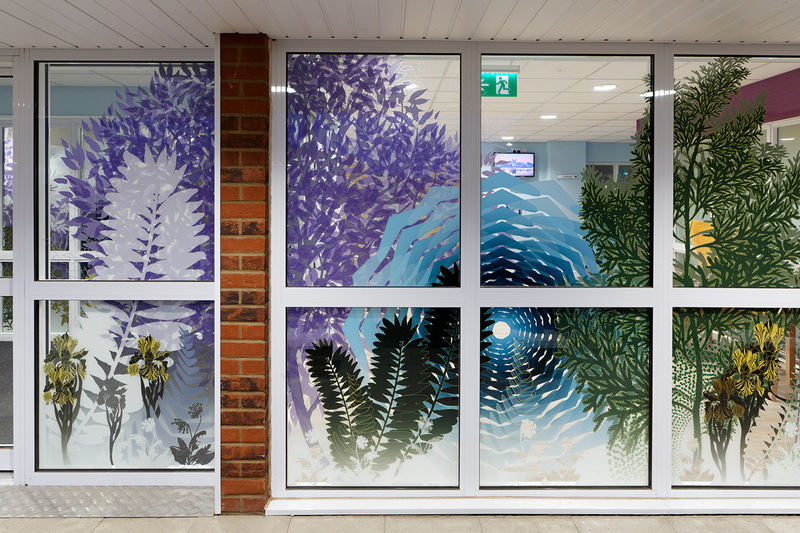 The following text was taken from the 2018 project brief by Alex Murdin, Arts Manager, Arts in Hospital, at Dorset County Hospital. 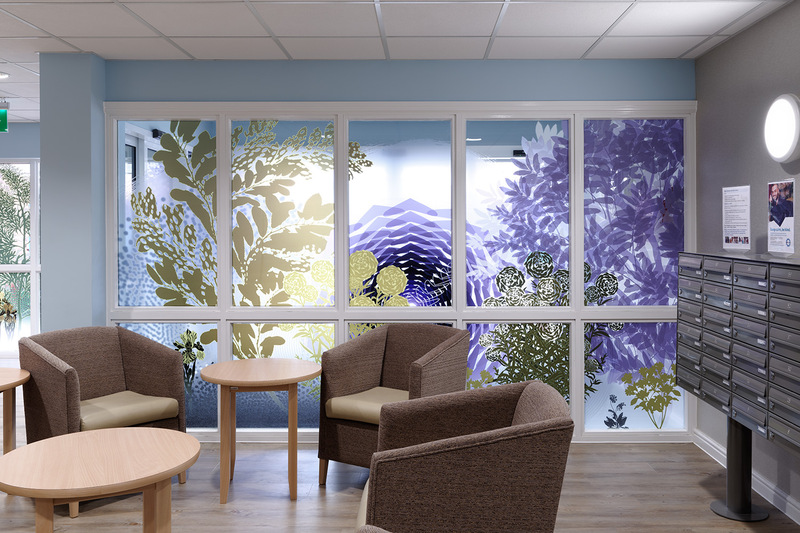 ‘Initial consultation with patients and staff suggested that the theme of the Cancer Unit artworks should evolve around nature and light, “Letting in the Light”. 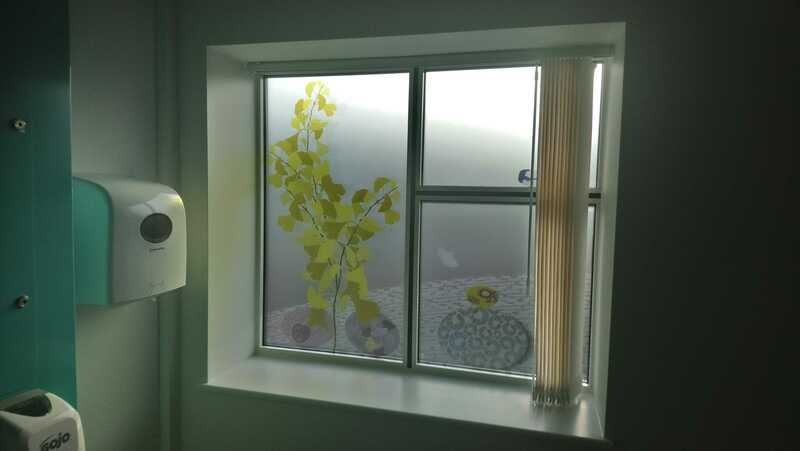 Medical and psychological evidence is strong that natural images, textures, patterns and light are all beneficial for wellbeing and recovery . 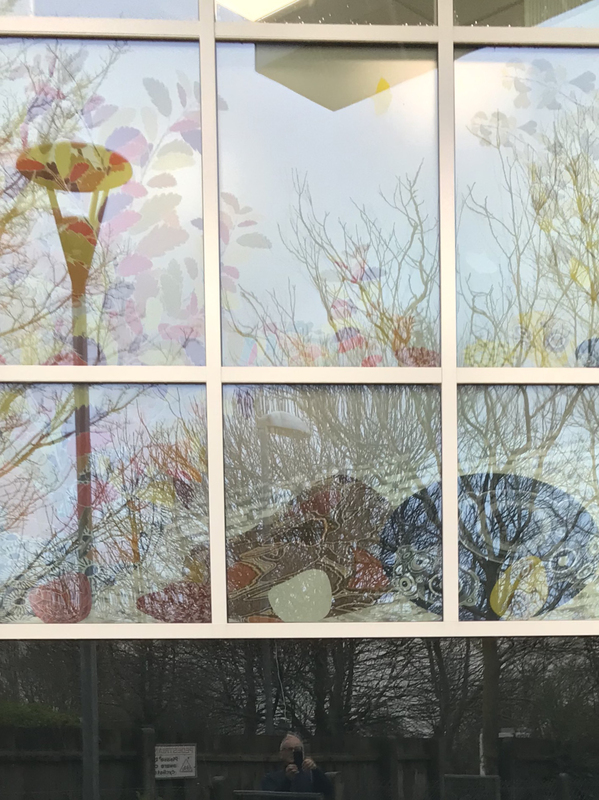 Contact with Nature has been reported to have psychological benefits by reducing stress, improving attention, by having a positive effect on mental restoration, and by coping with attention deficits. 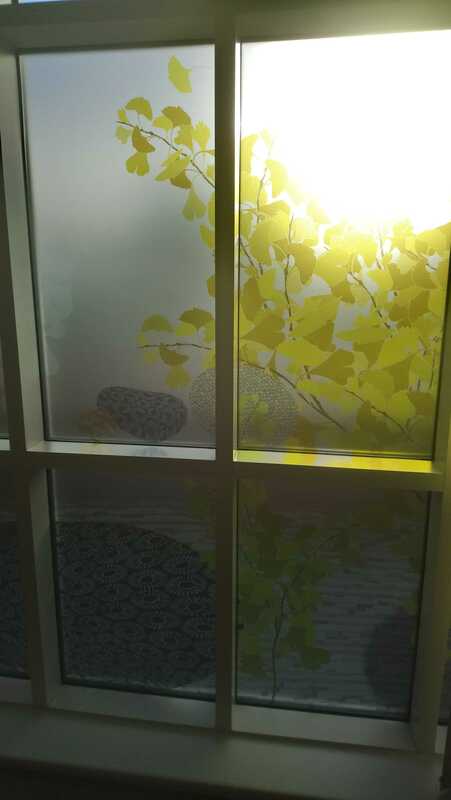 Natural light is important to healing and wellbeing and patients with views of open spaces get better faster. 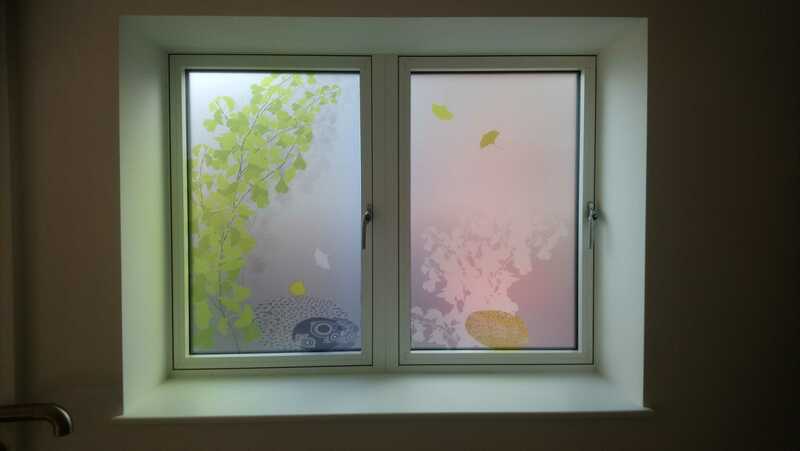 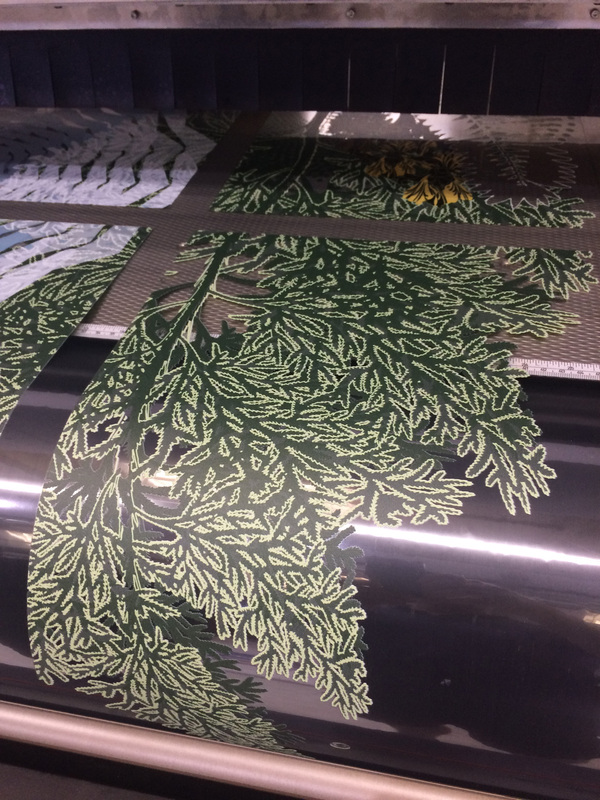 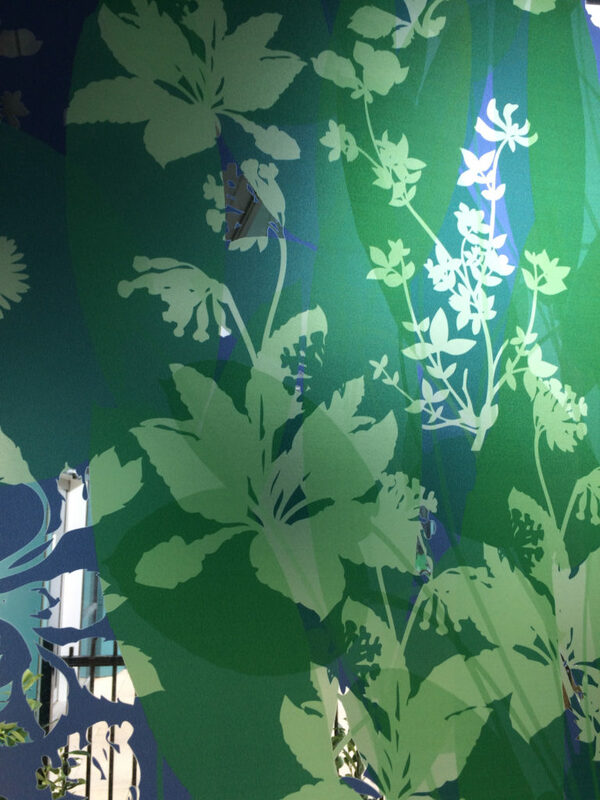 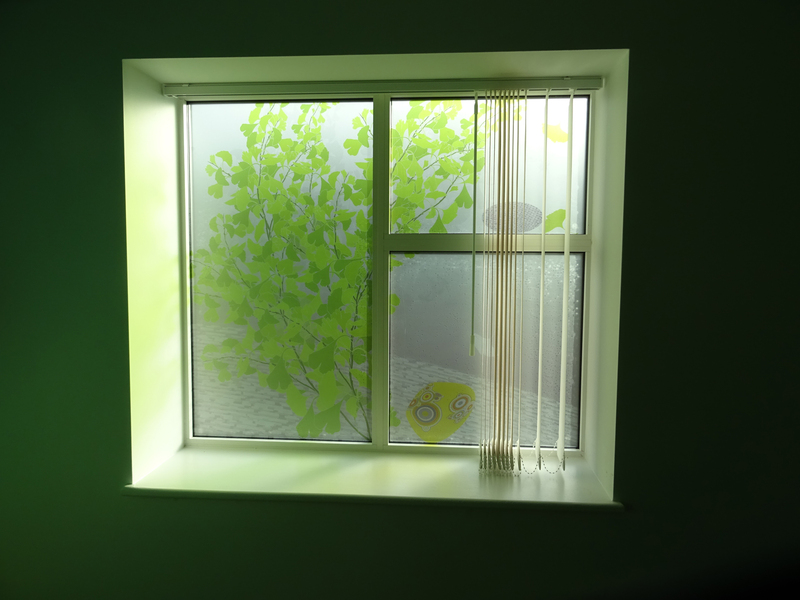 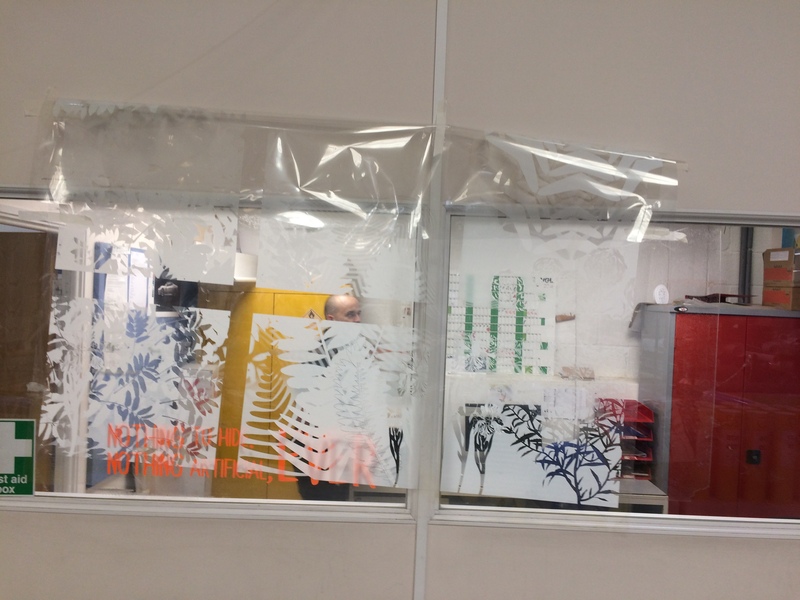 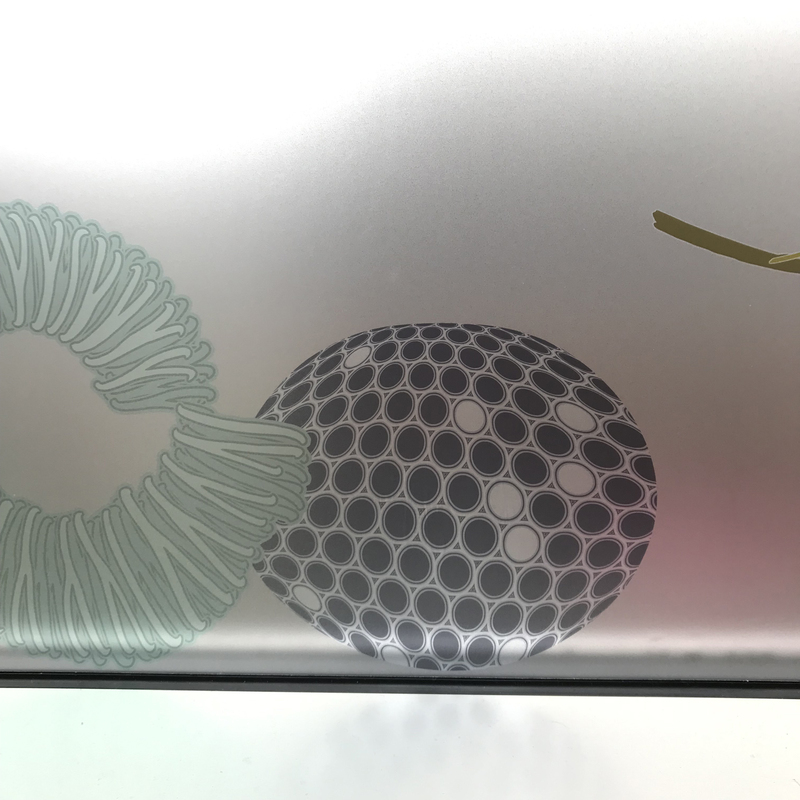 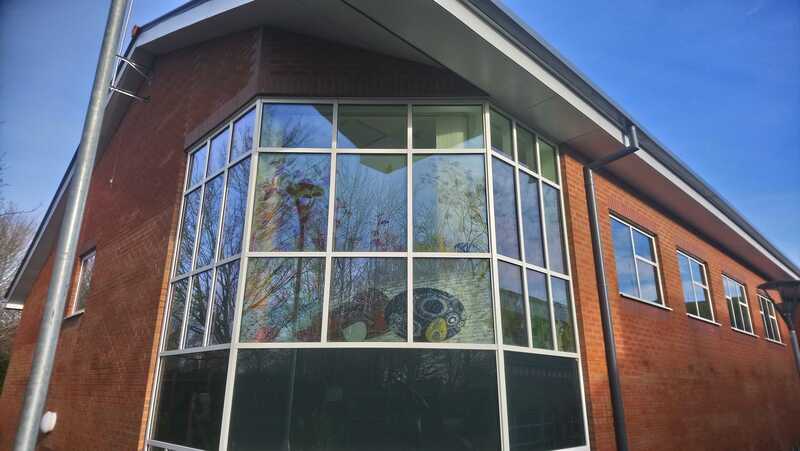 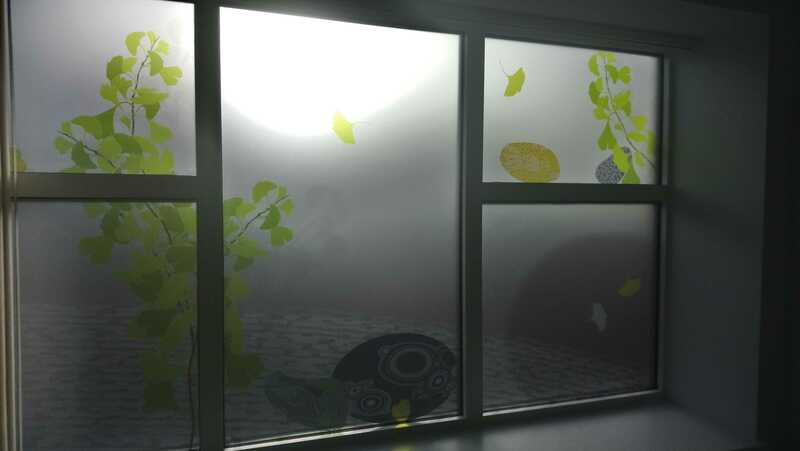 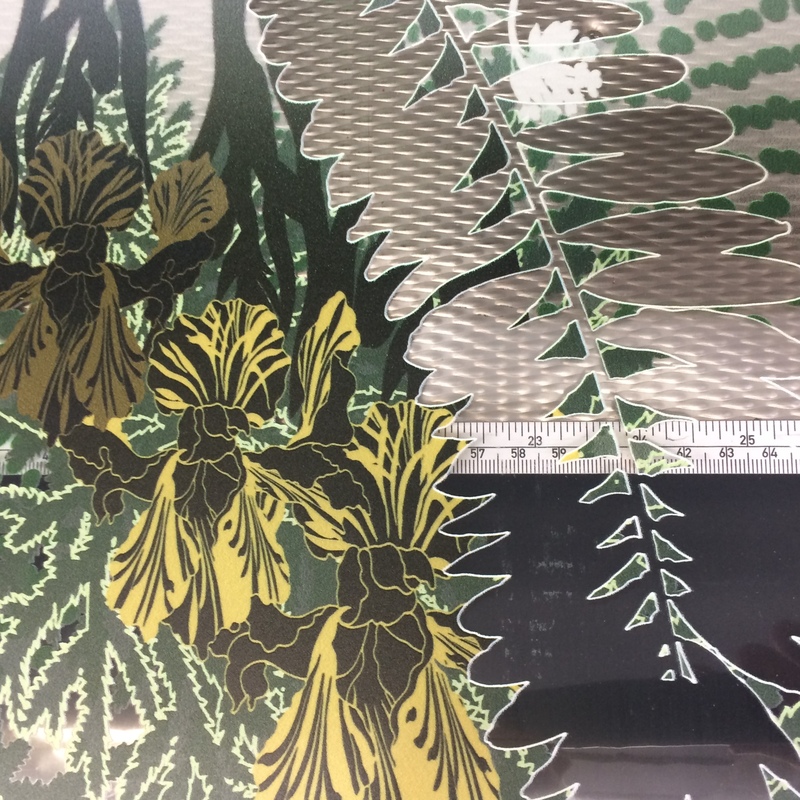 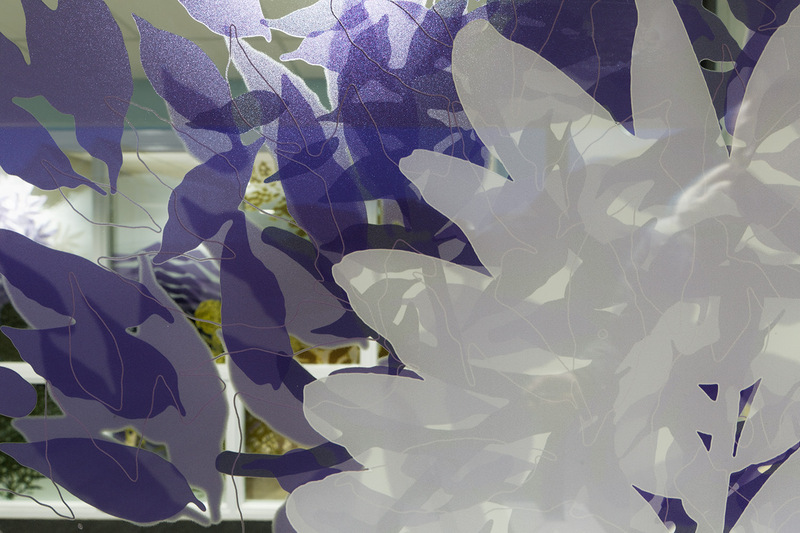 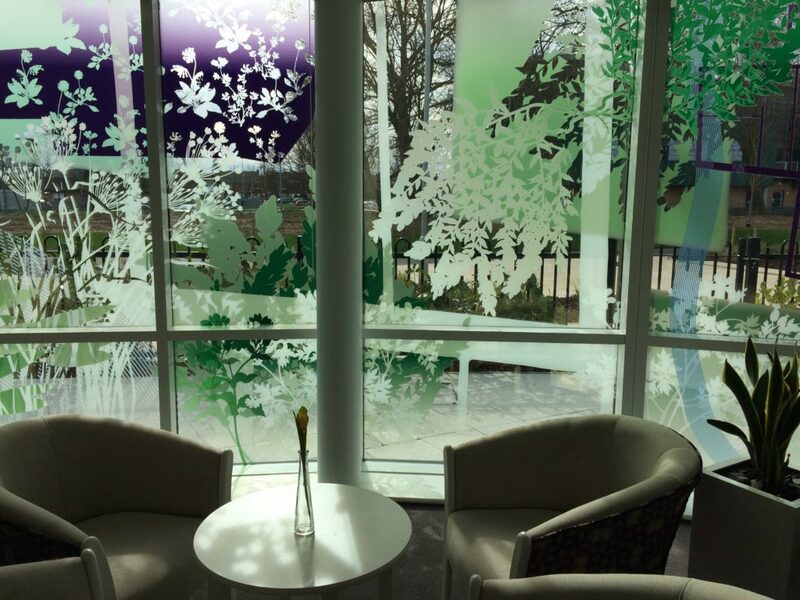 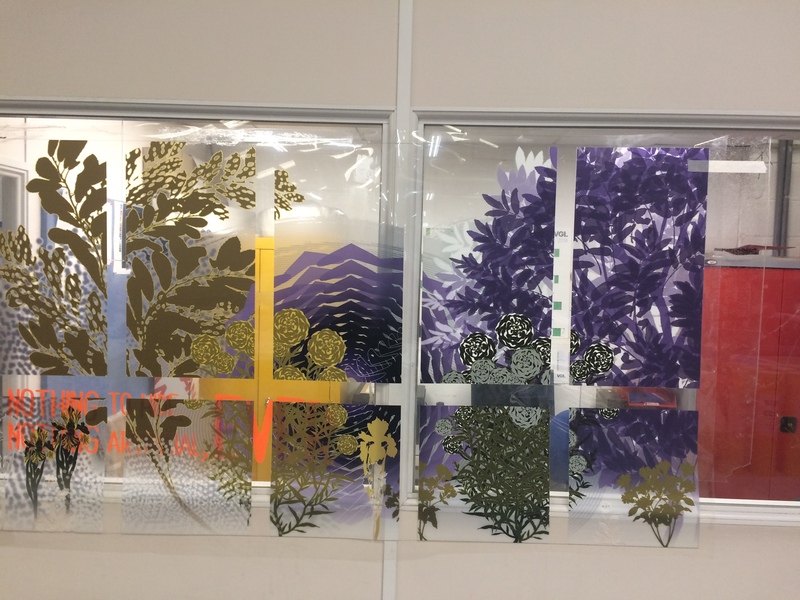 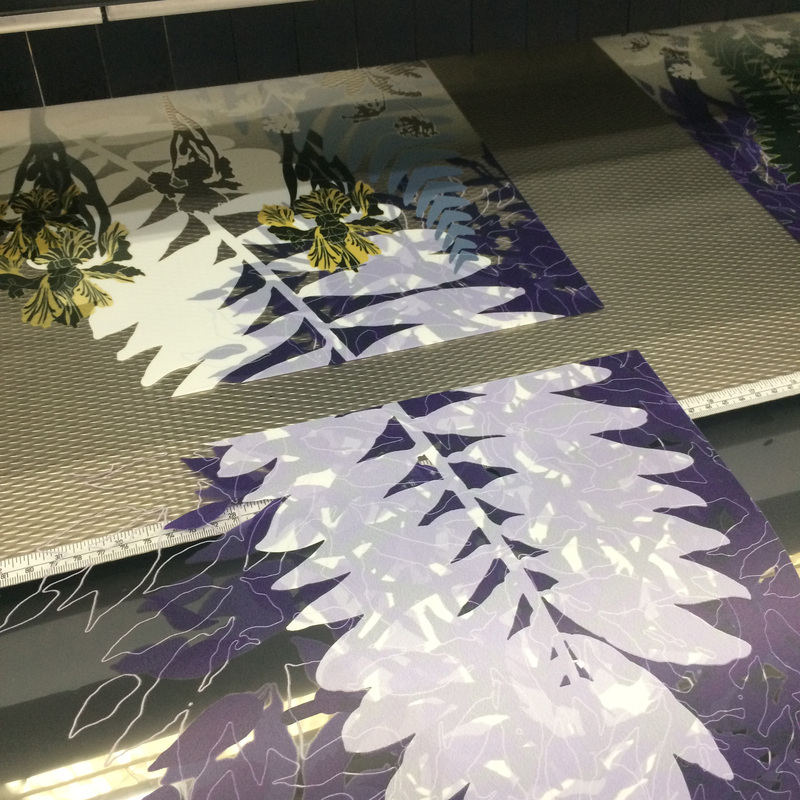 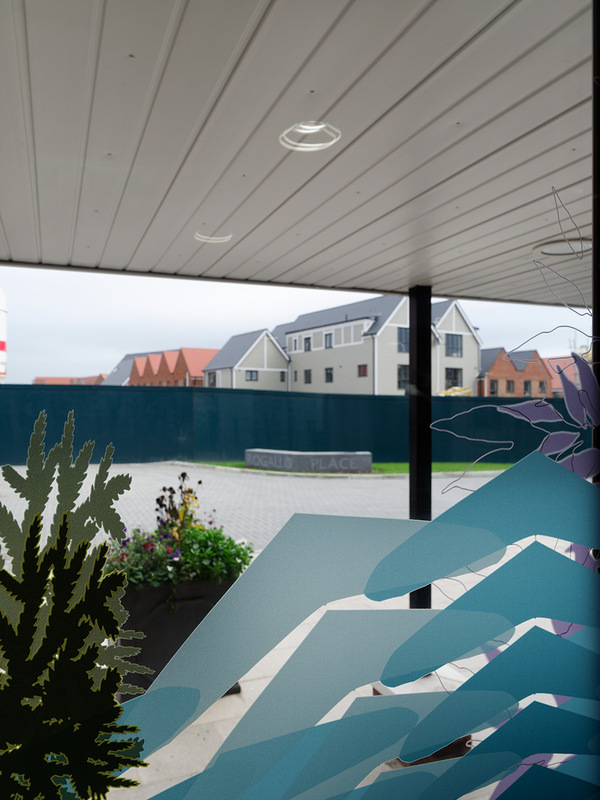 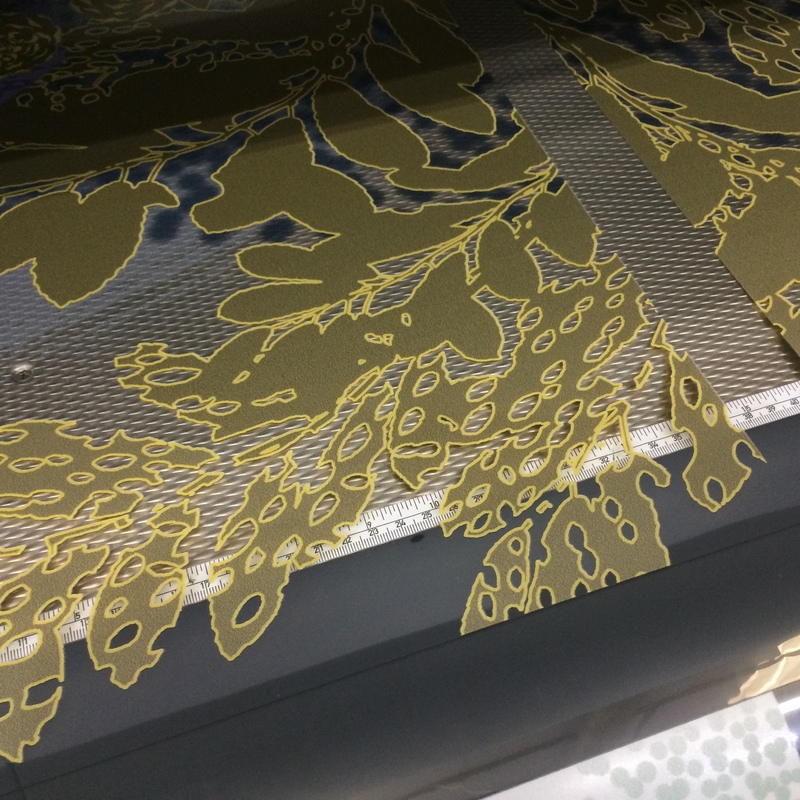 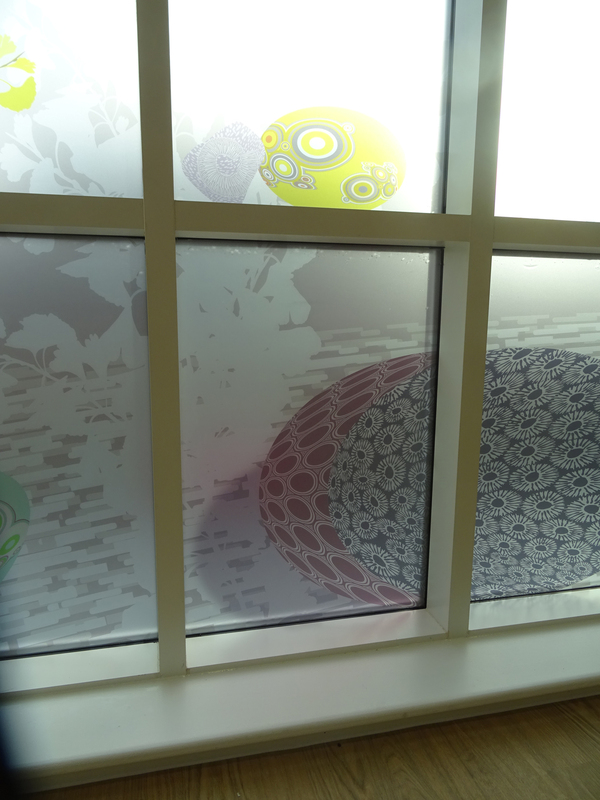 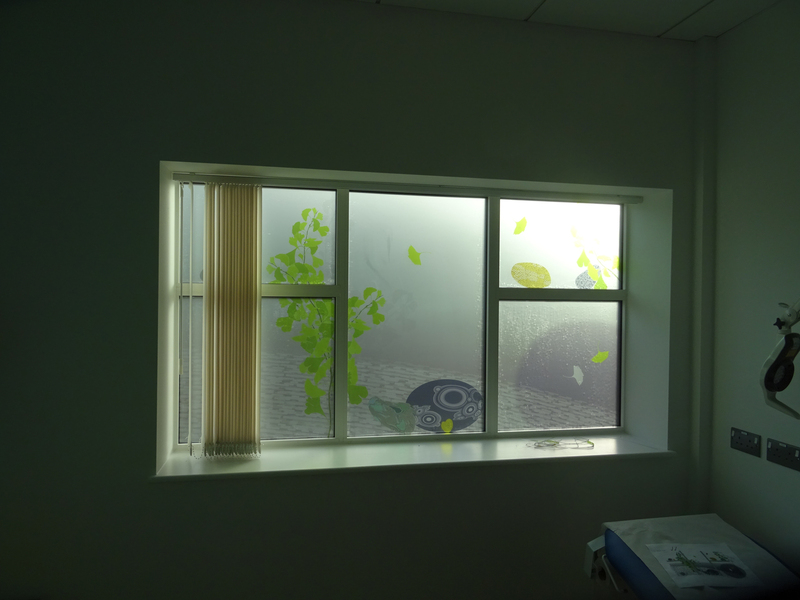 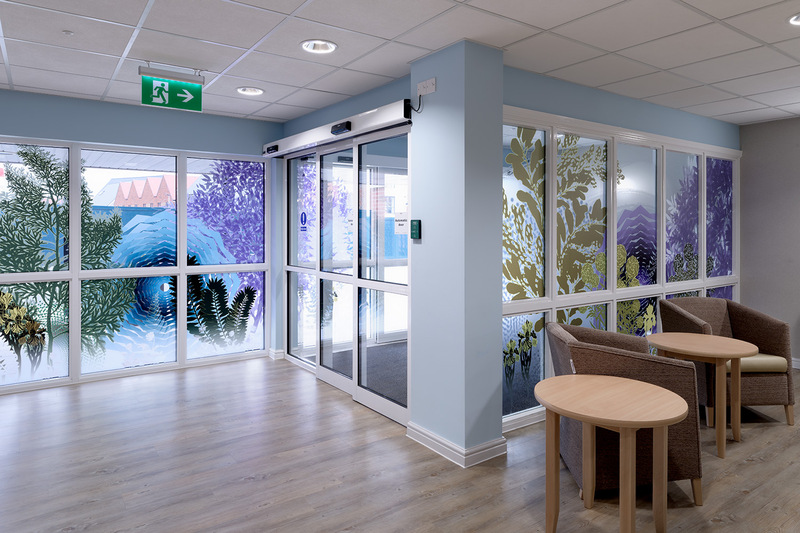 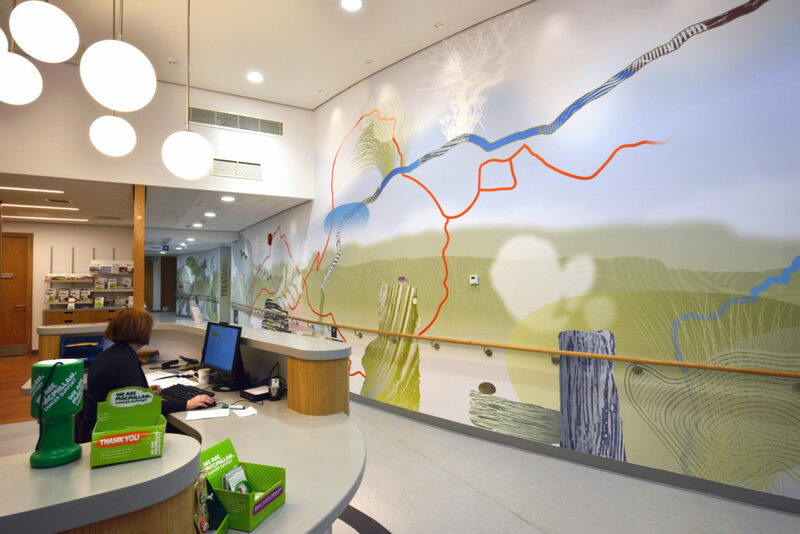 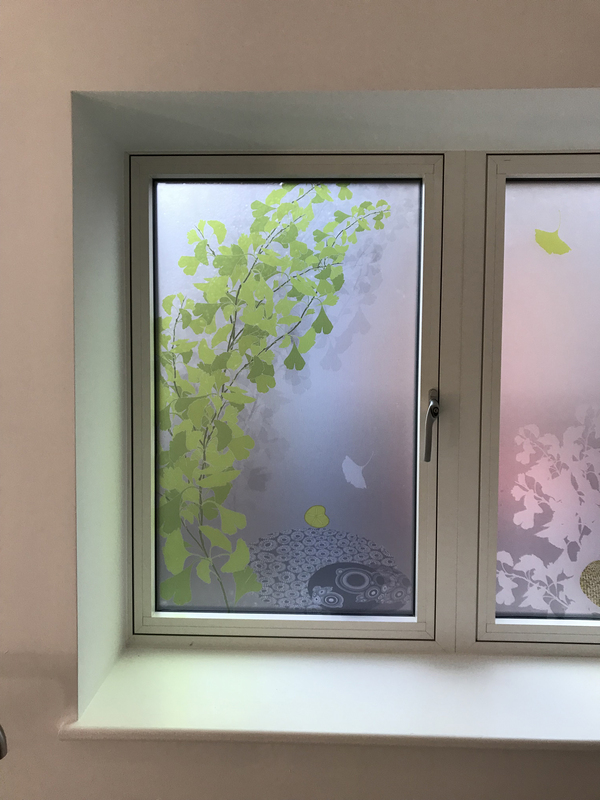 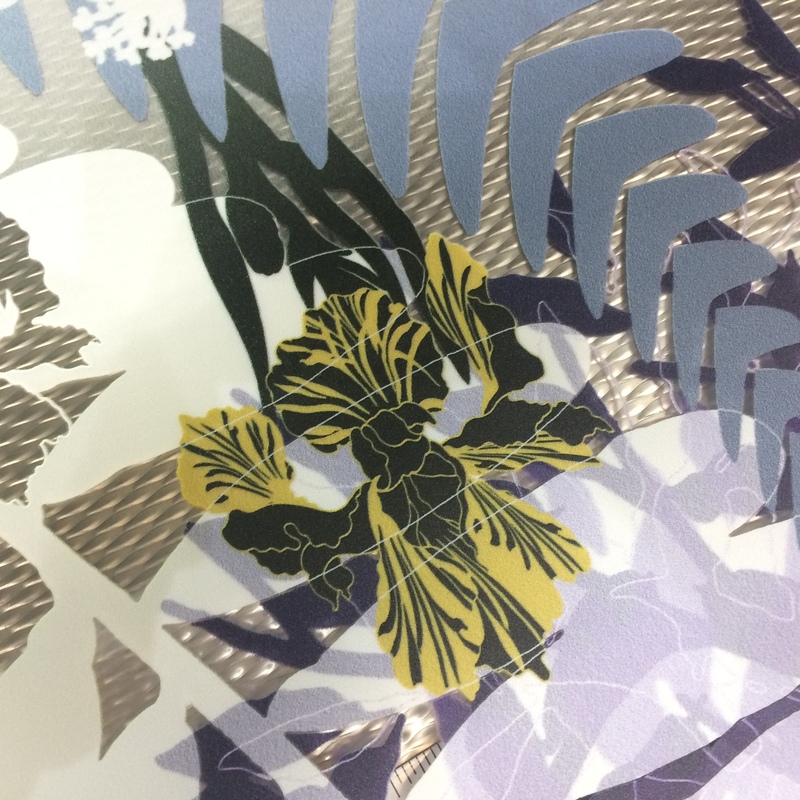 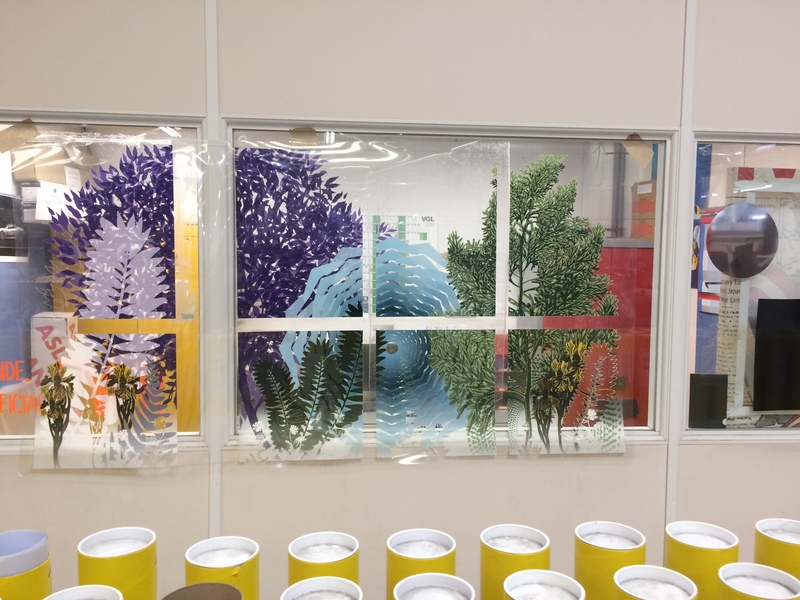 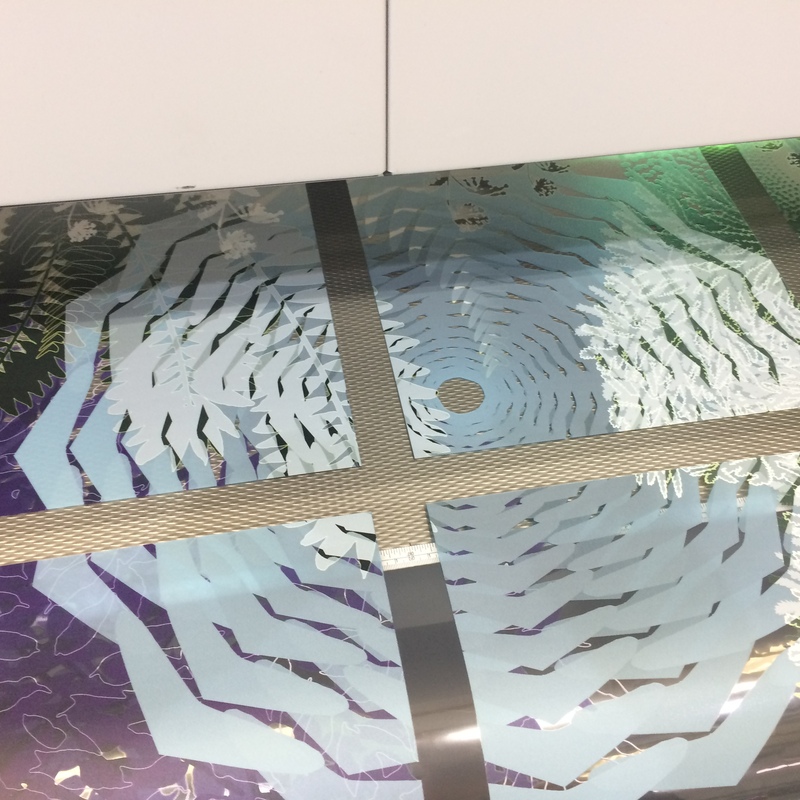 As the views from the new Cancer Unit will be limited to other hospital buildings and urban Dorchester, art can provide an alternative view for patients through translucent imagery of landscape and natural forms on windows. 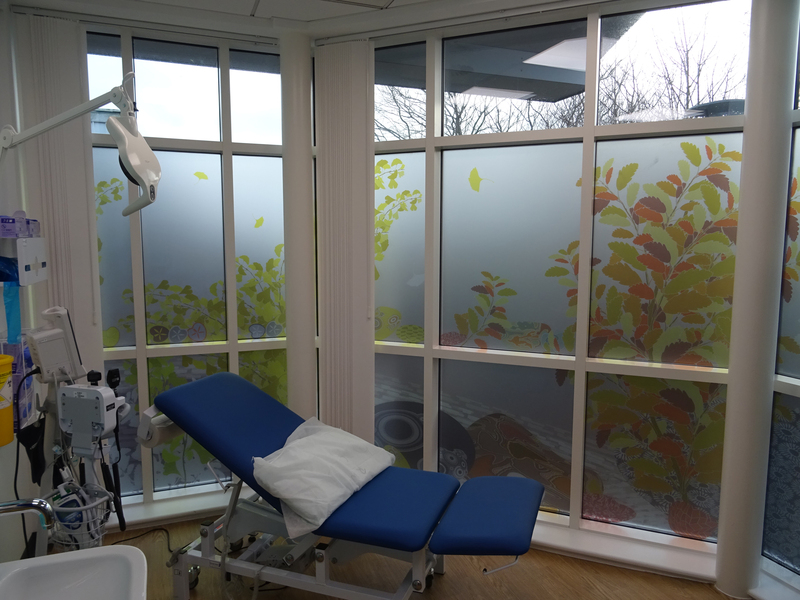 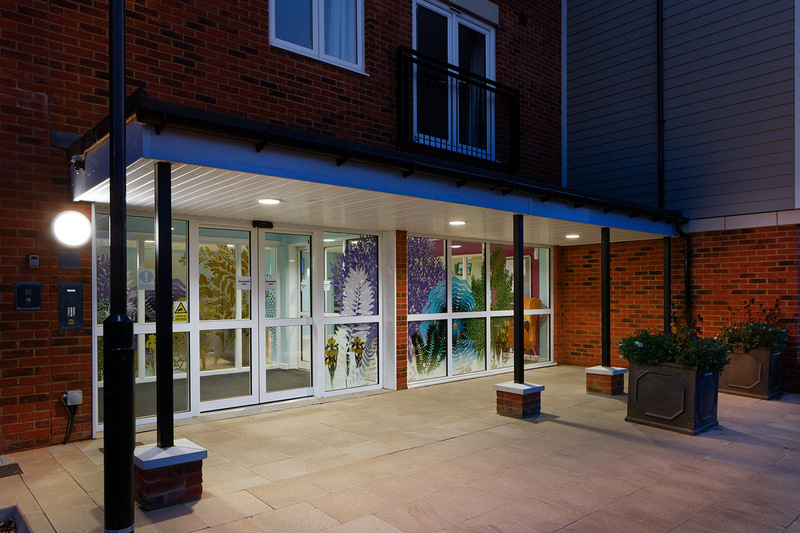 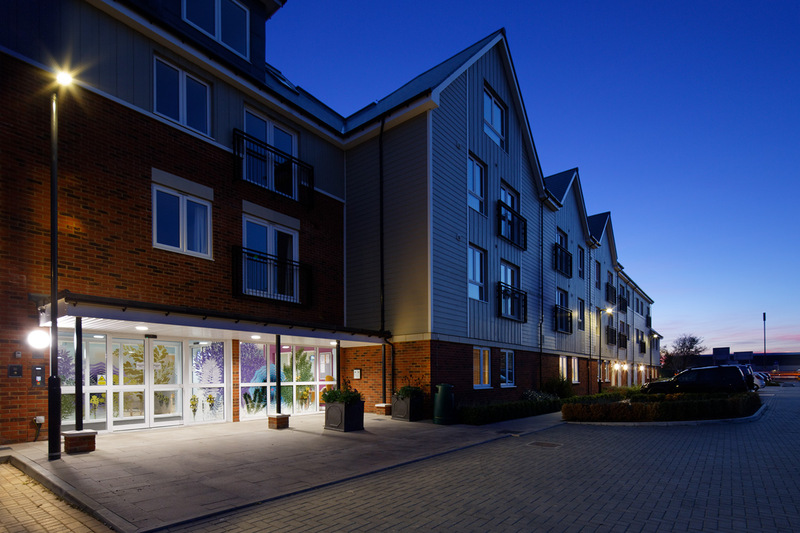 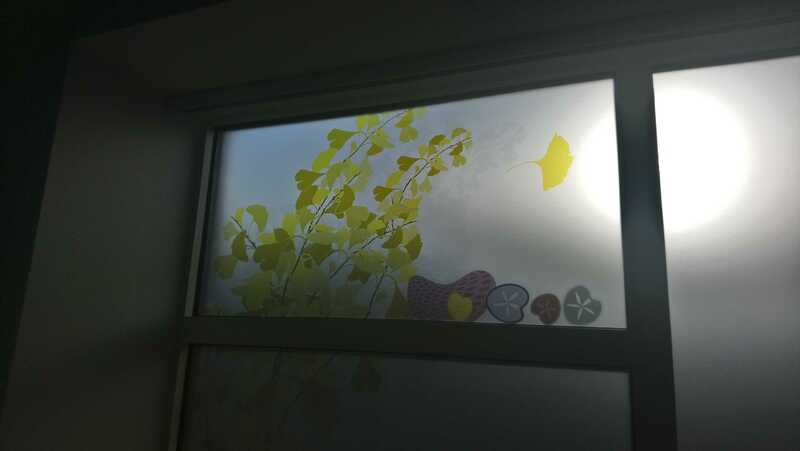 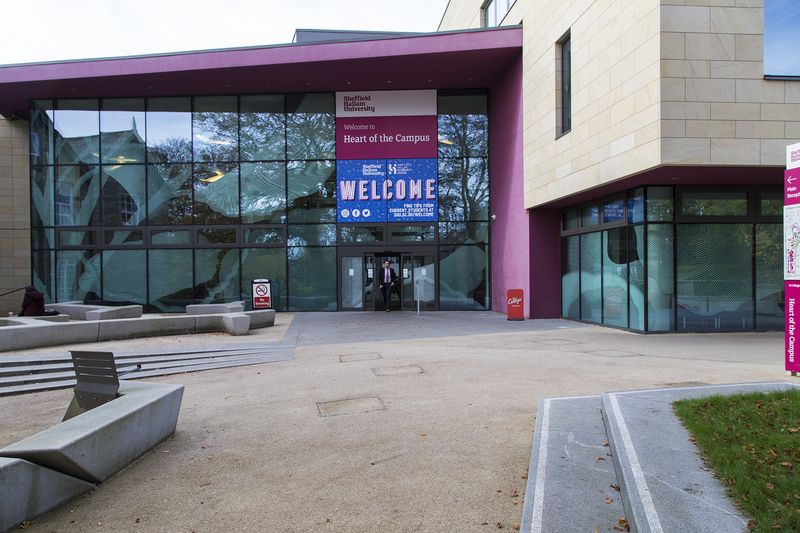 The window vinyls must in any case screen off views of the interior from outside by passers-by and occupiers of adjacent buildings, as necessary for patient’s actual and perceived privacy and confidentiality without the need for blinds and the accompanying loss of light’. 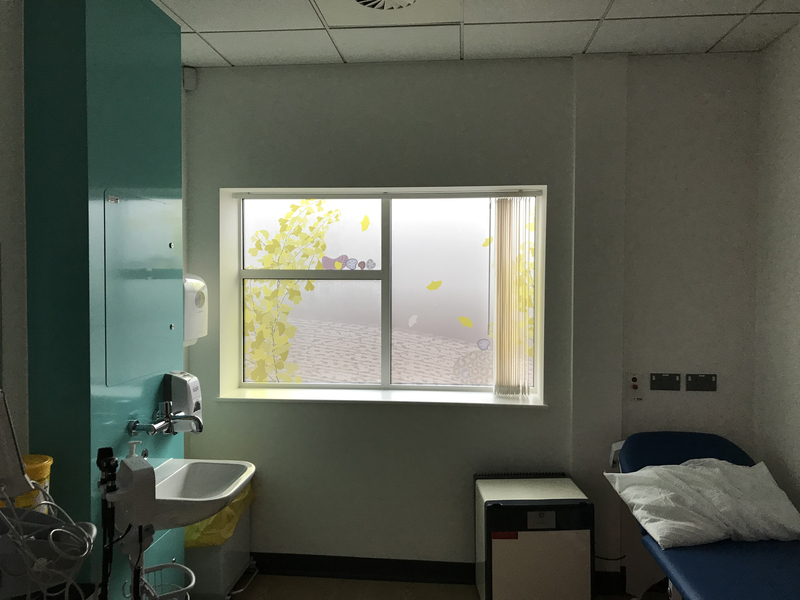 Dorset’s pioneering new cancer unit is under construction and due to be delivered in 2018 is being built and operated jointly by Poole and Dorset Hospitals. 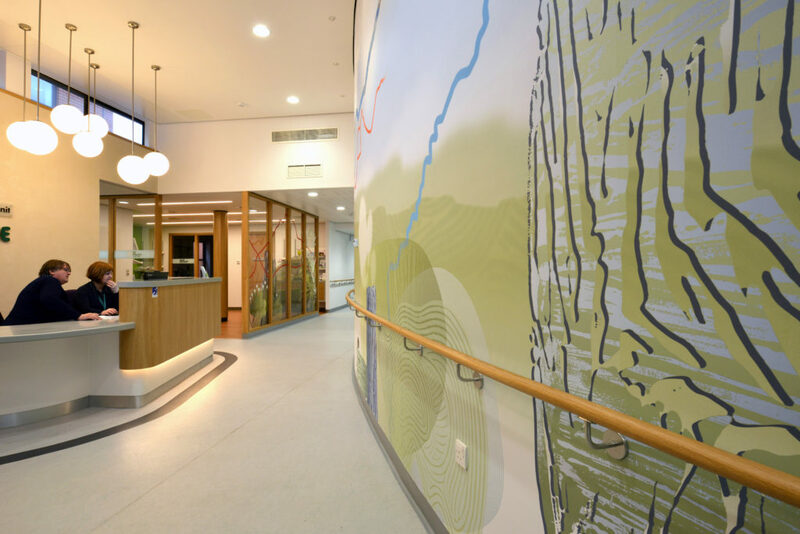 It will deliver world class health care for our local communities. 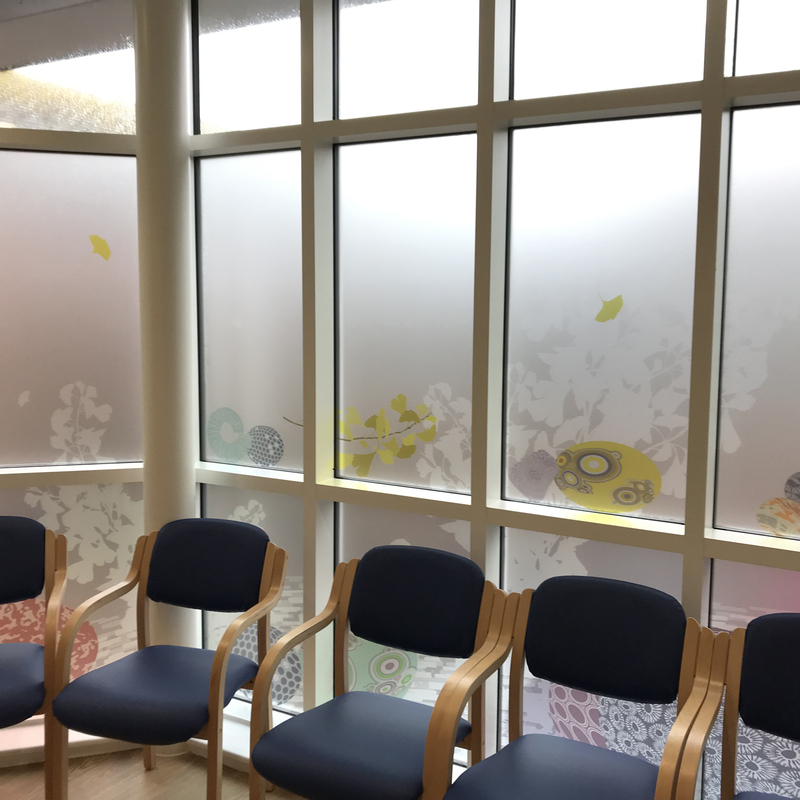 The project will develop cancer facilities for patients all across Dorset and bring radiotherapy services to Dorchester for the first time. 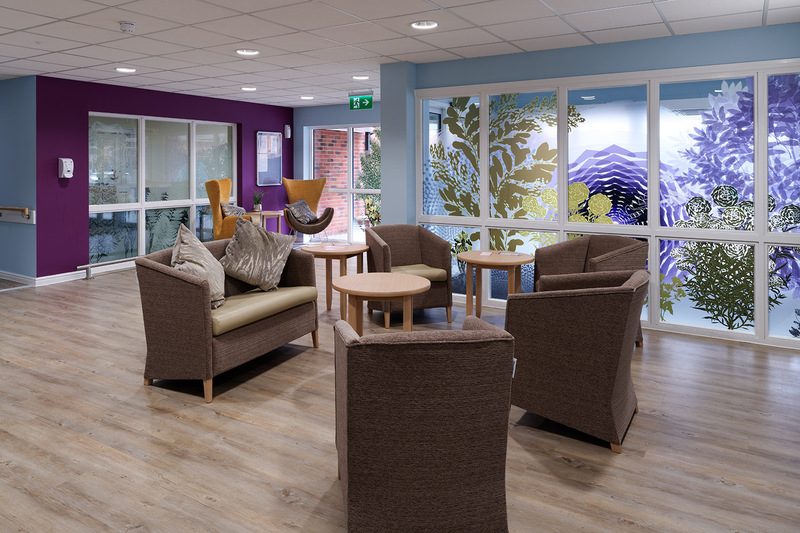 The new facilities will be life-changing, particularly for people who have previously had to travel long distances for radiotherapy services in Poole. 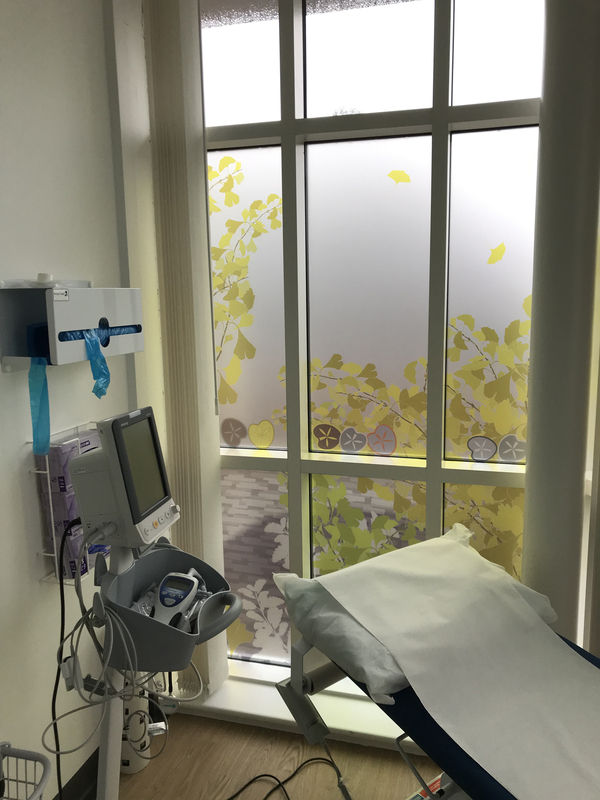 The unit will serve people of all ages, who have been diagnosed with cancer as well as their families. 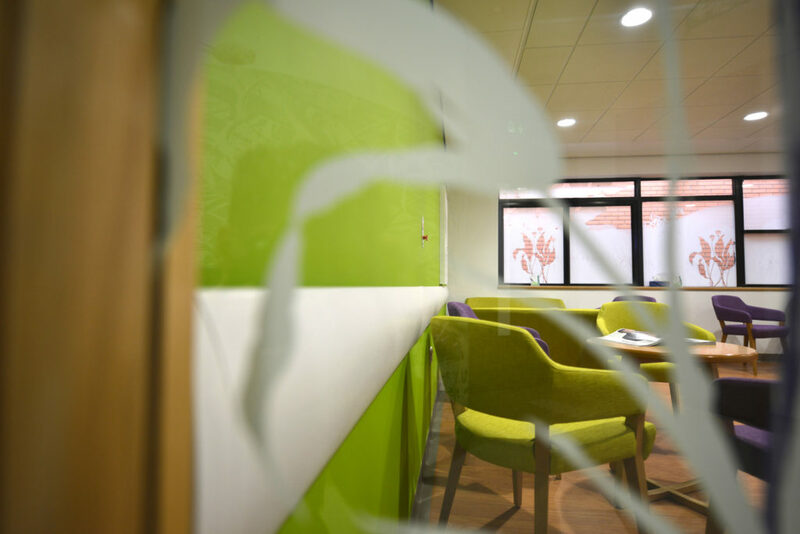 Patients who use this service are likely to be distressed and for some people, they may be living with a terminal diagnosis. 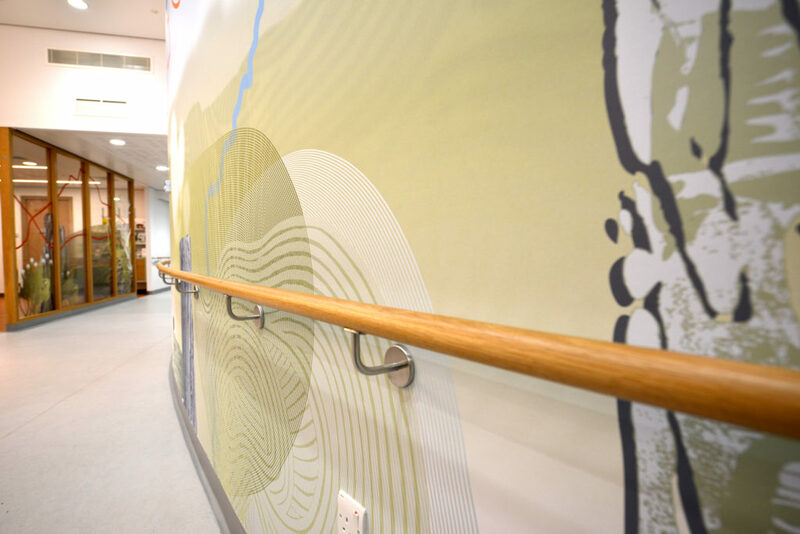 The unit will be home to new linear accelerators (LINAC) – the device most commonly used for external beam radiation treatments for patients with cancer. 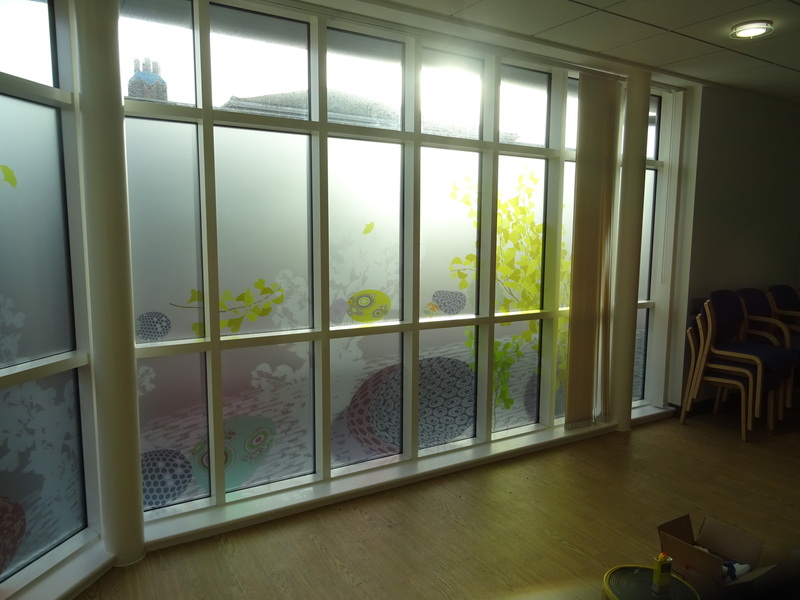 It will be a multi-functional space offering life changing radiotherapy, consulting rooms and counselling rooms. 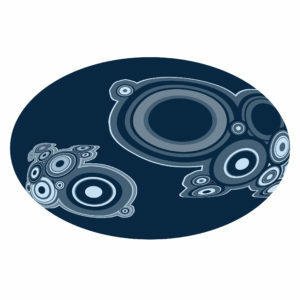 The unit will also be used by support groups. 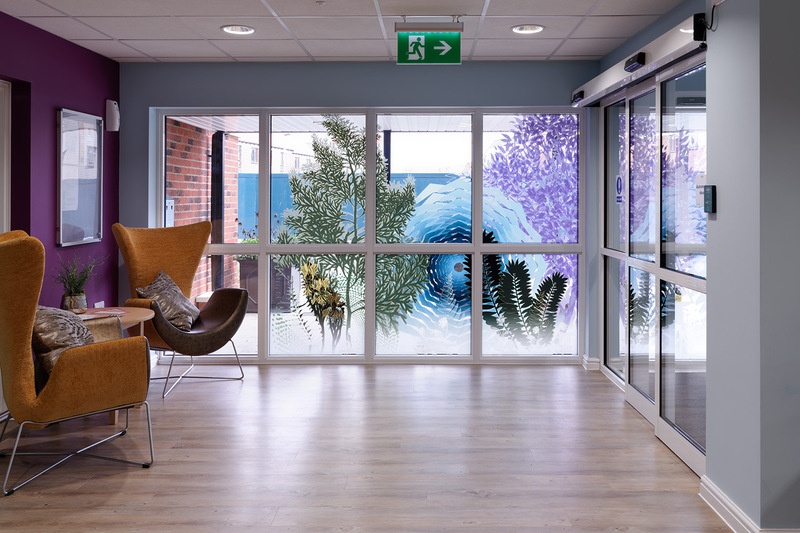 The unit is being funded Dorset County Hospital Charity, Dorset County Hospital NHS Foundation Trust (DCHFT), Poole Hospital NHS Foundation Trust and with a major legacy from the photographer Robert White, a local man who died from cancer in 2015′.